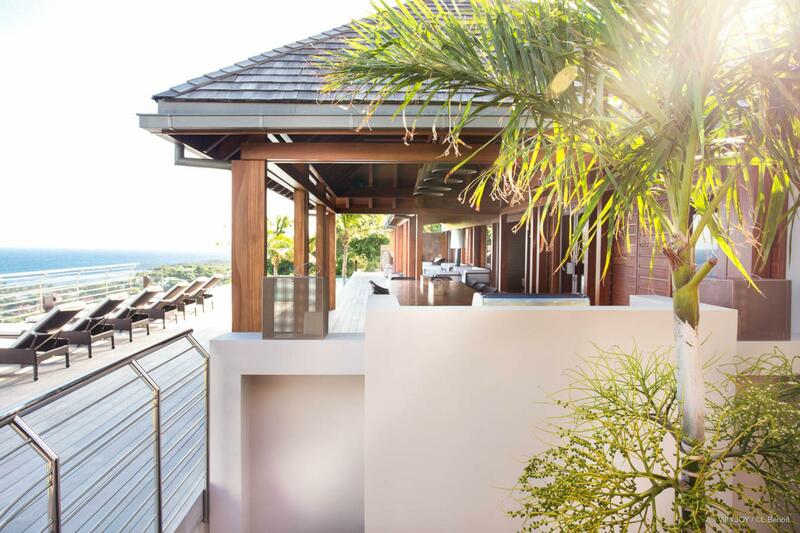 Timeless and grand in its handsome design, Villa Joy (JOY) is a house that feels luxurious and indulgent in the best possible ways, but also relaxed and inviting. 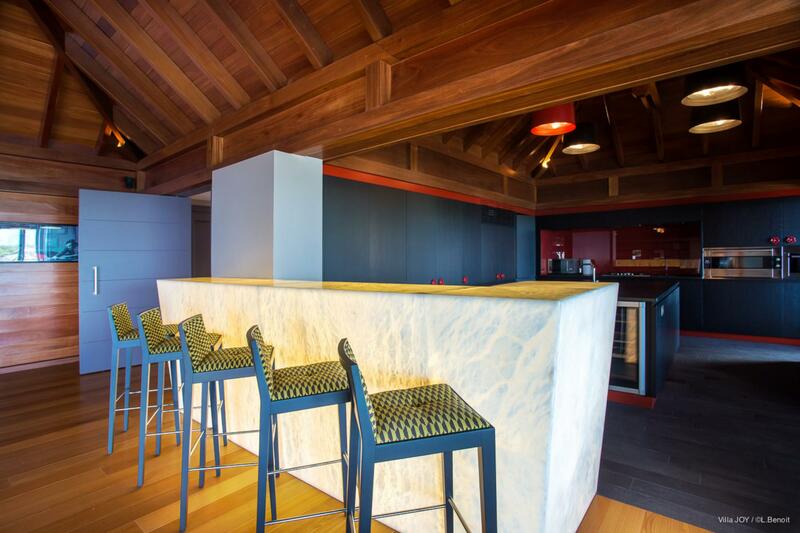 It gives guests a feeling of being among family at the home of a very refined friend. 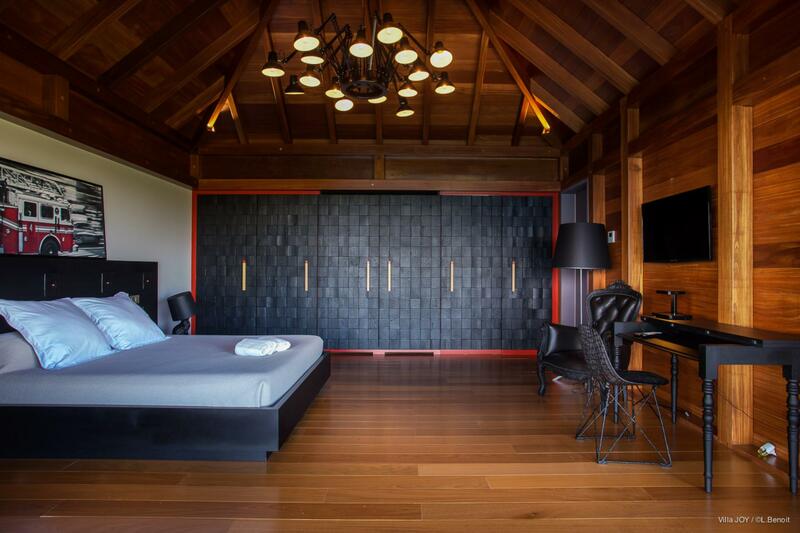 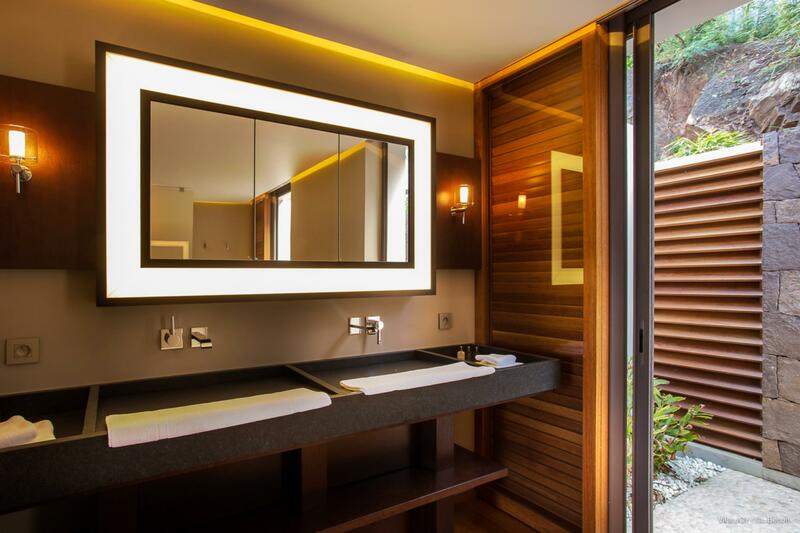 That dual character is thanks in part to the designer&#146;s abundant use of warm-toned tropical wood for the walls, ceilings, and floors. 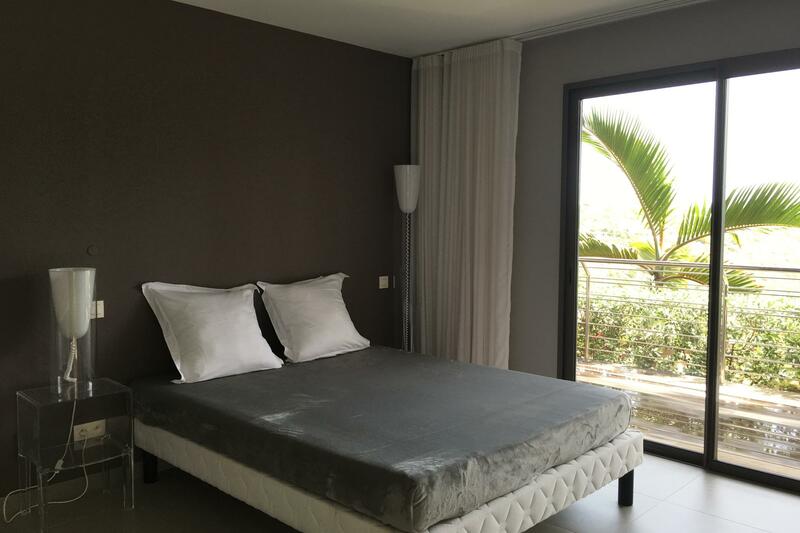 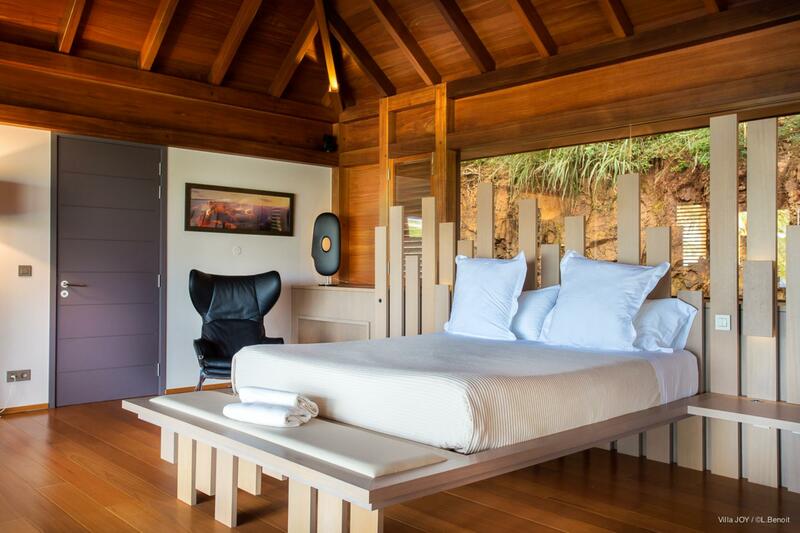 Here it&#146;s left in its natural, grained state rather than whitewashed as it is in most rental properties on the island. 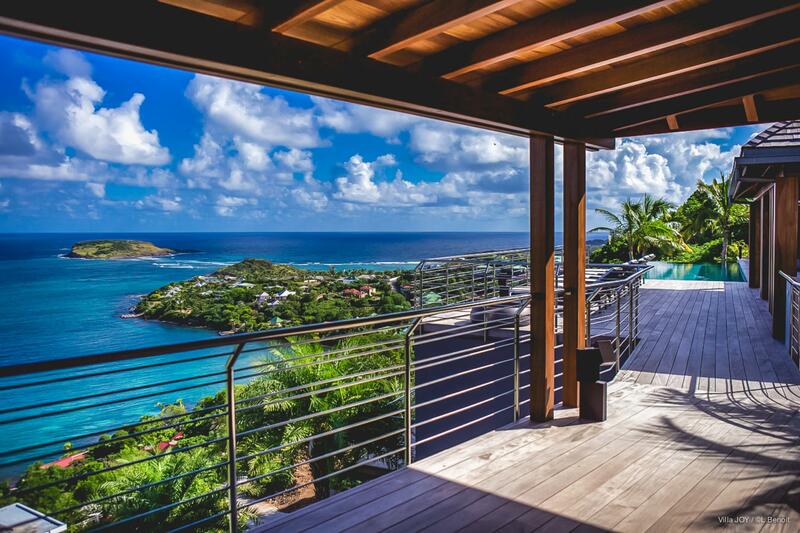 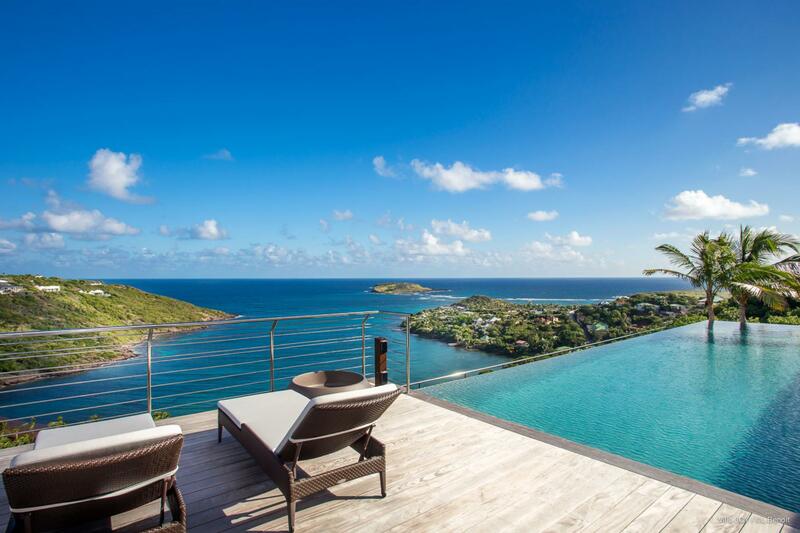 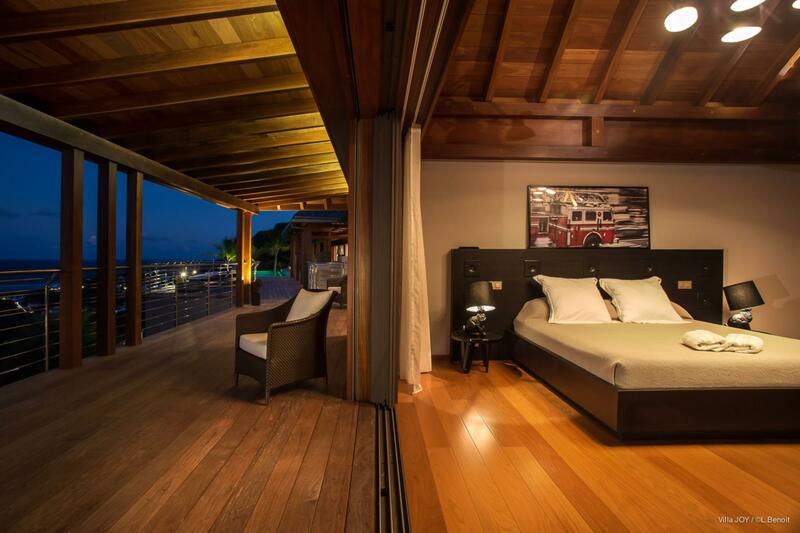 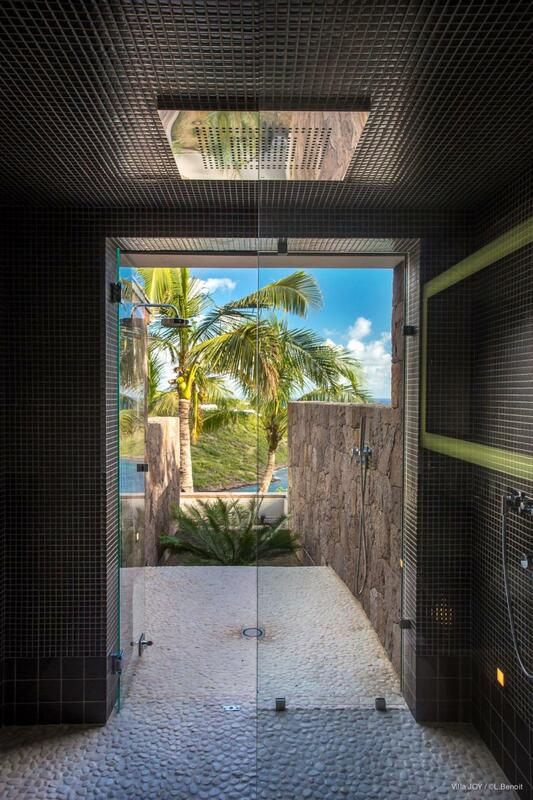 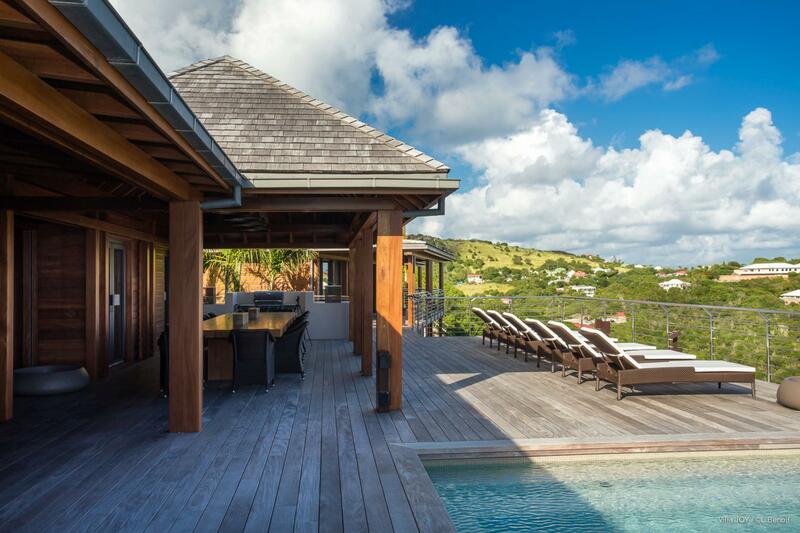 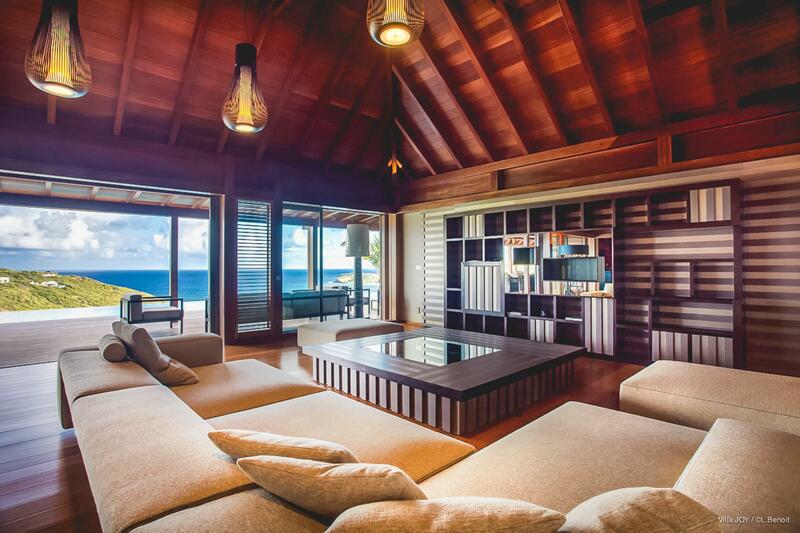 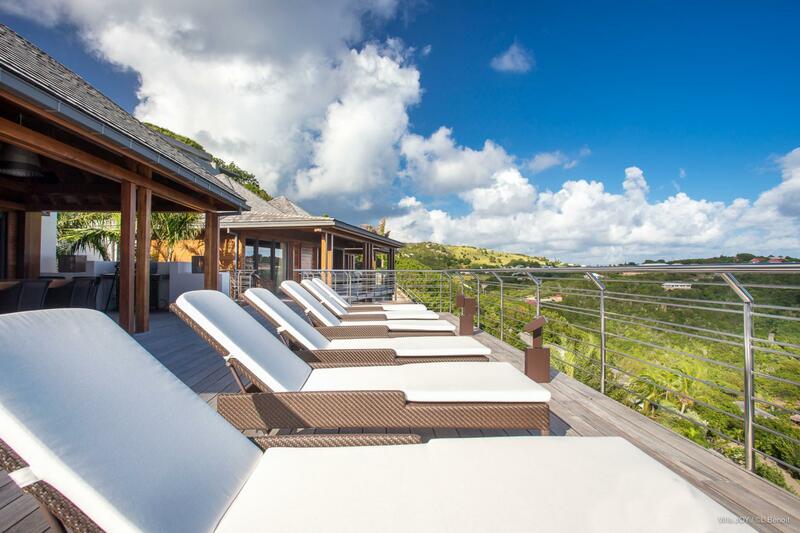 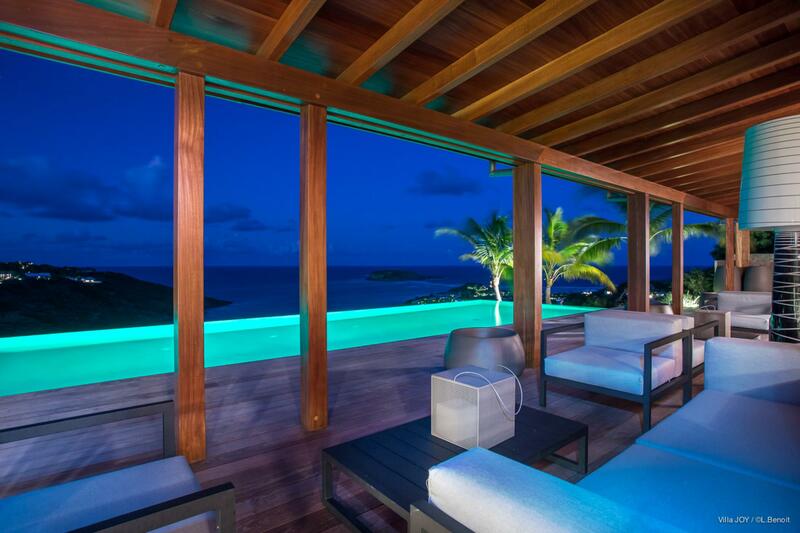 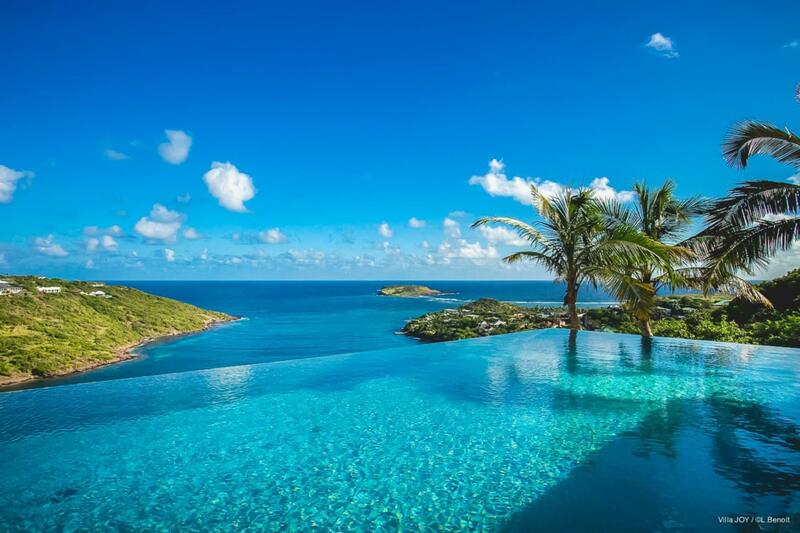 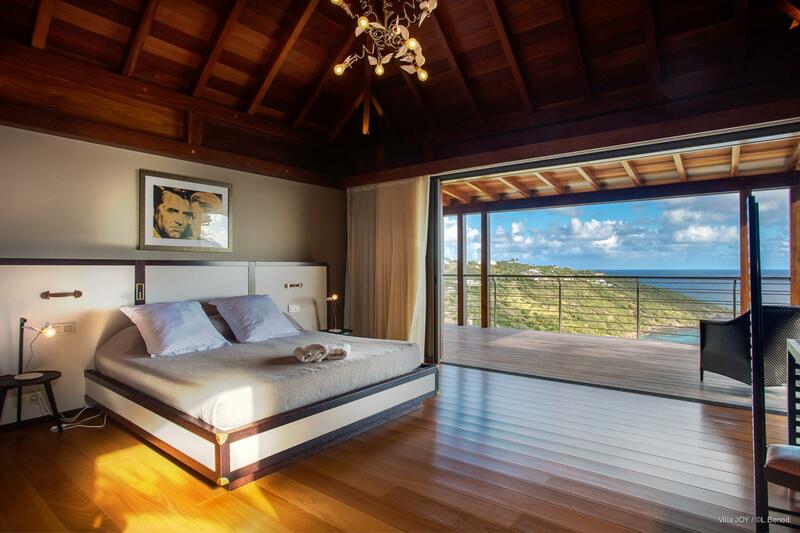 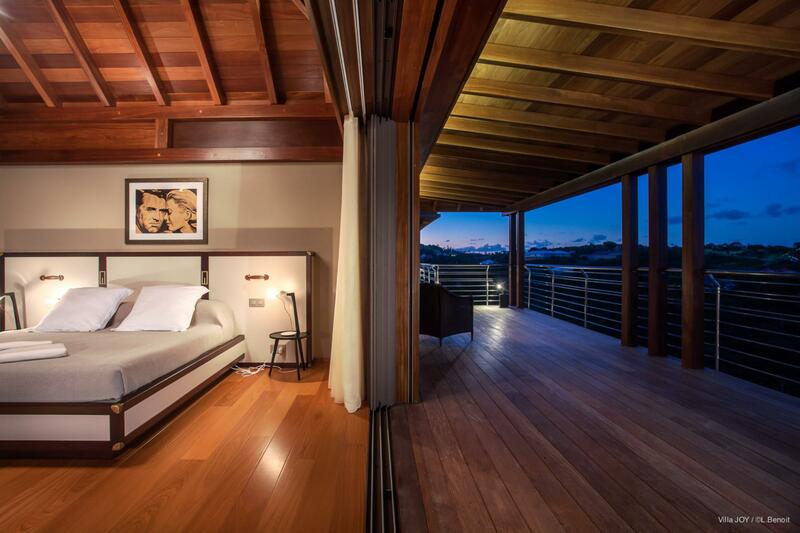 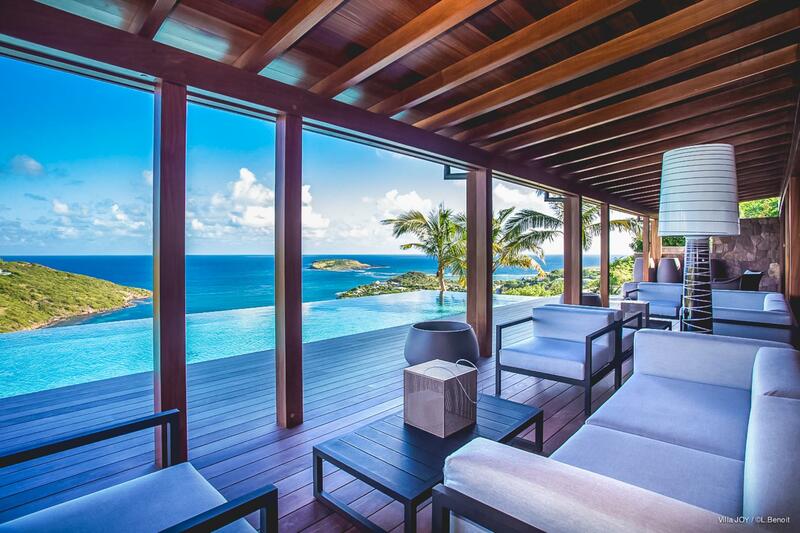 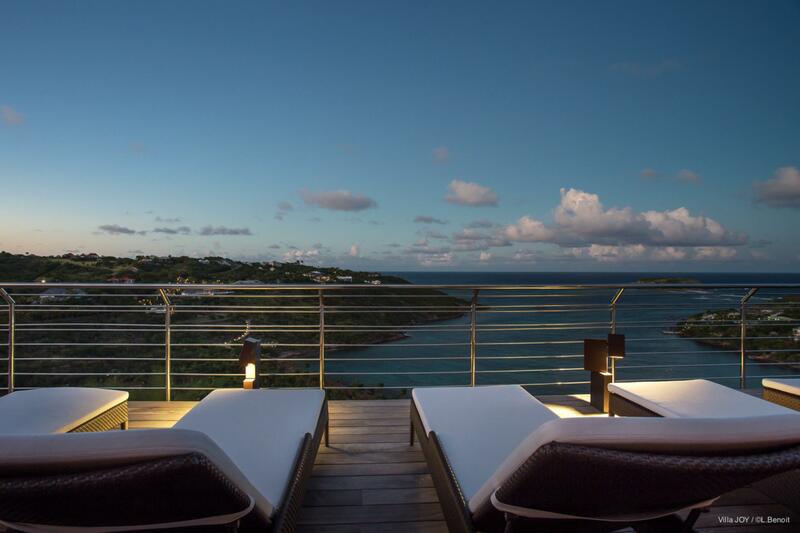 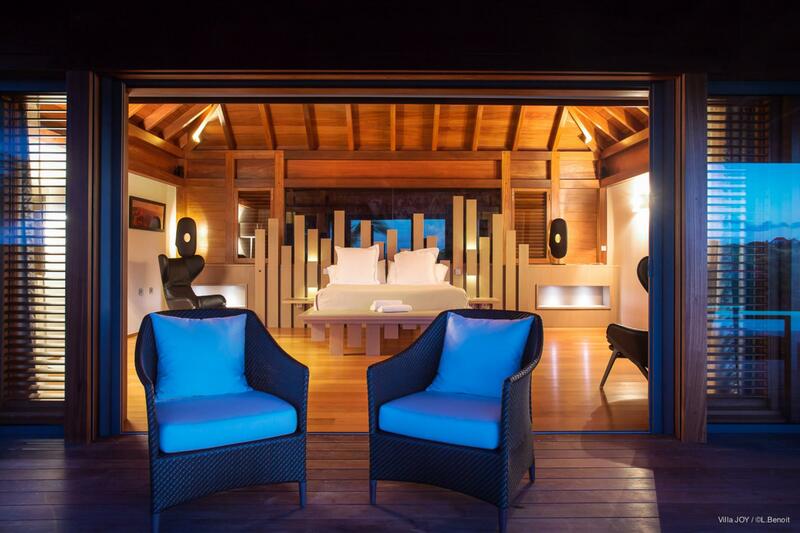 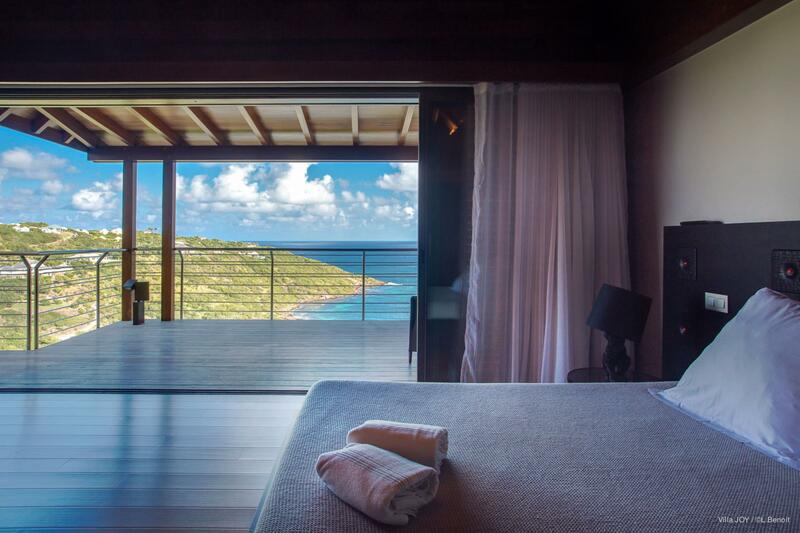 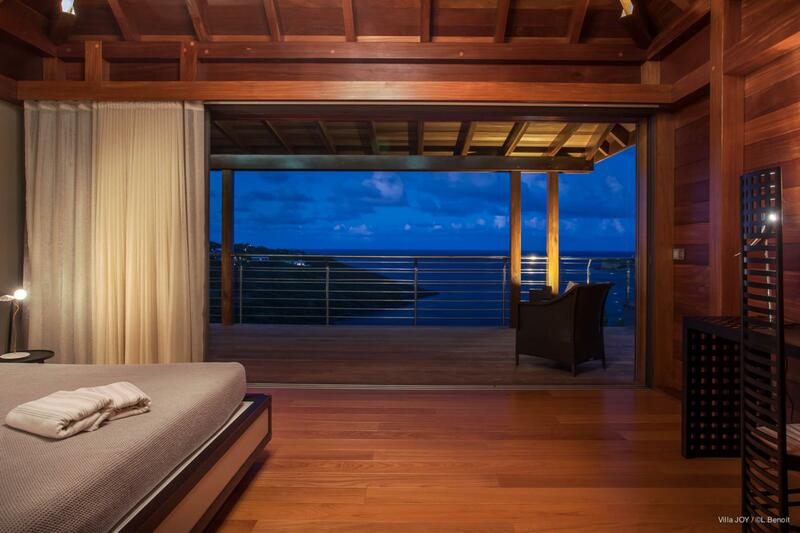 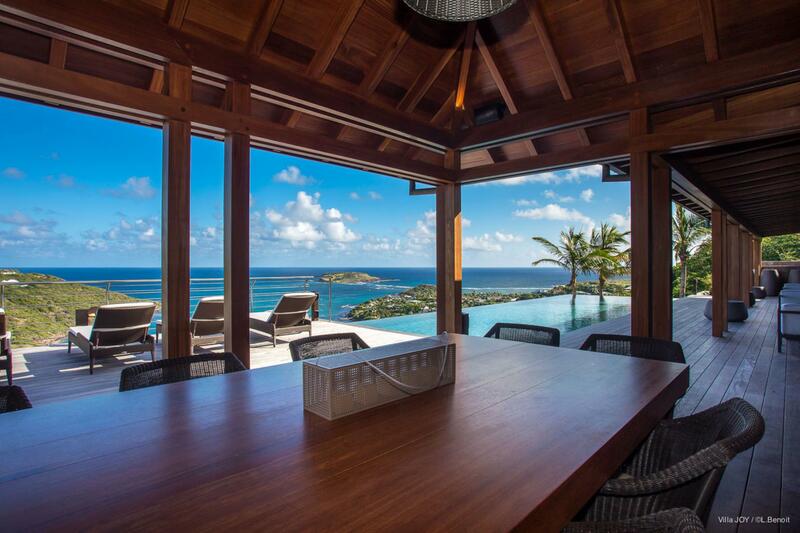 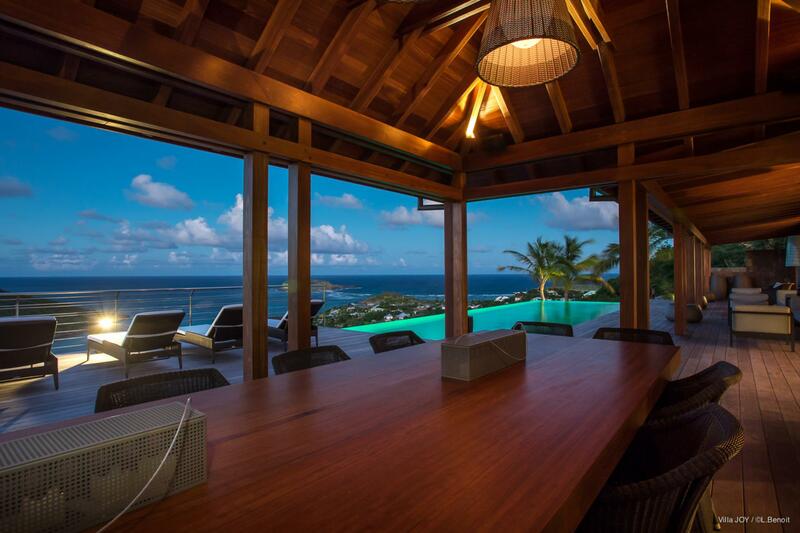 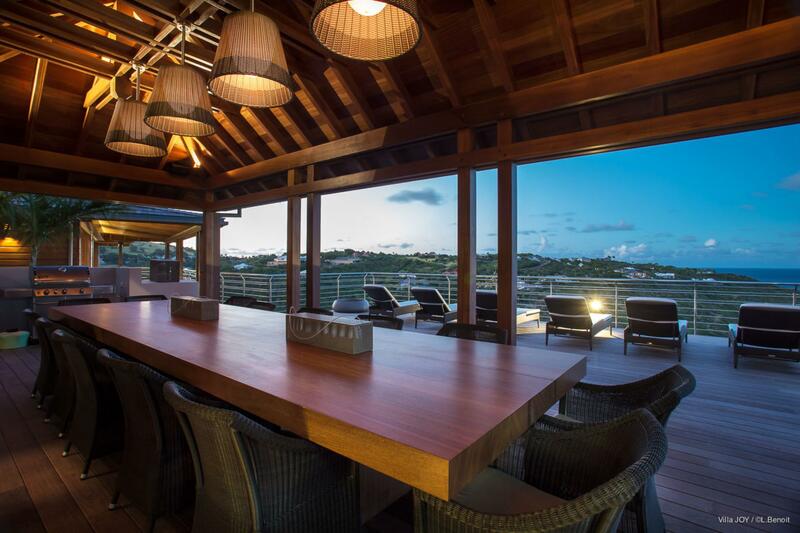 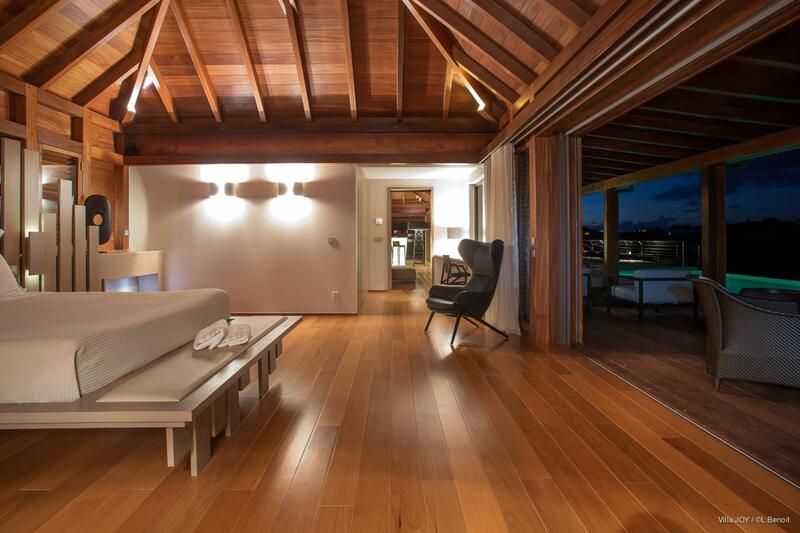 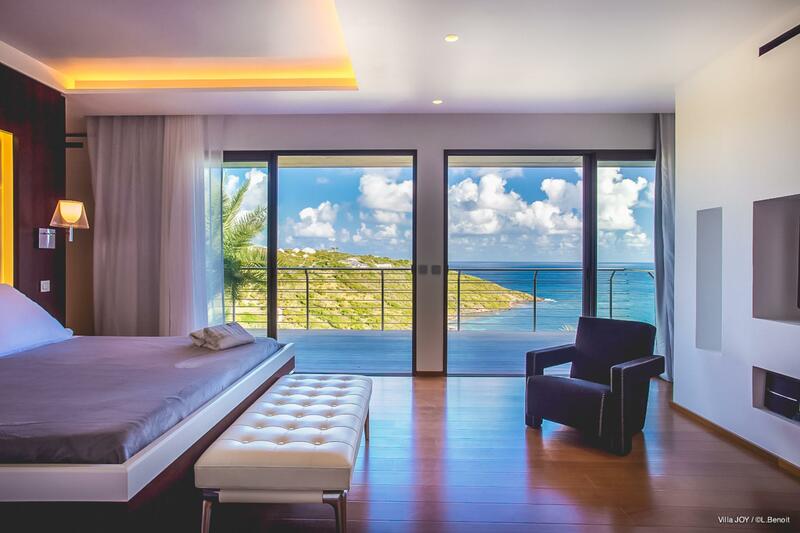 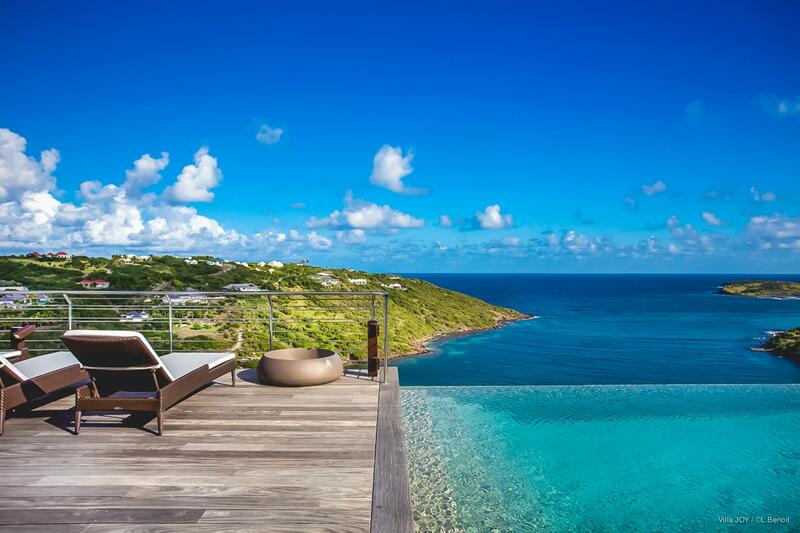 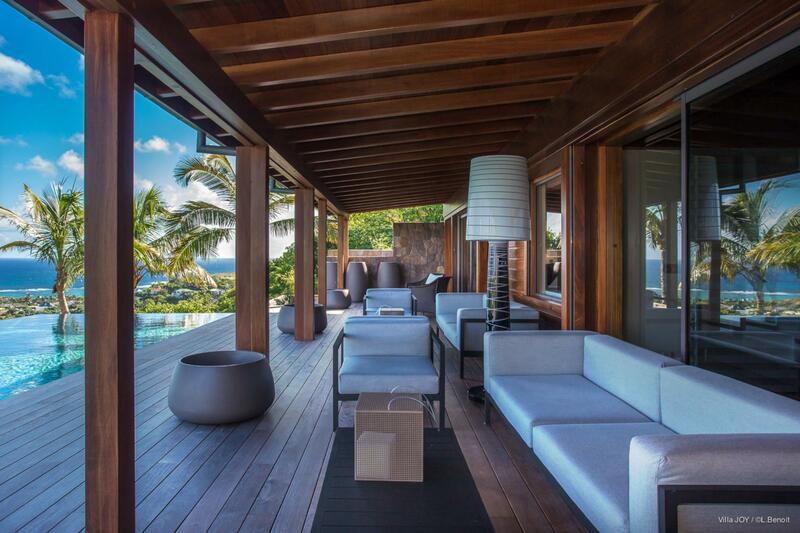 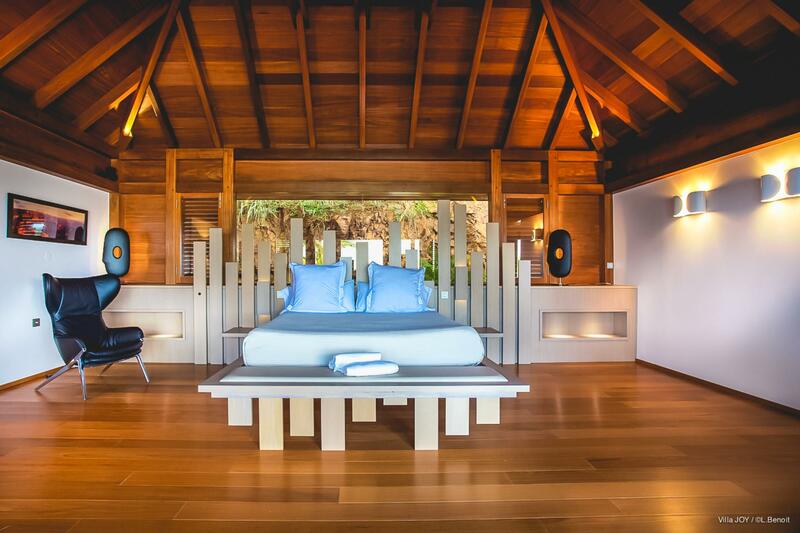 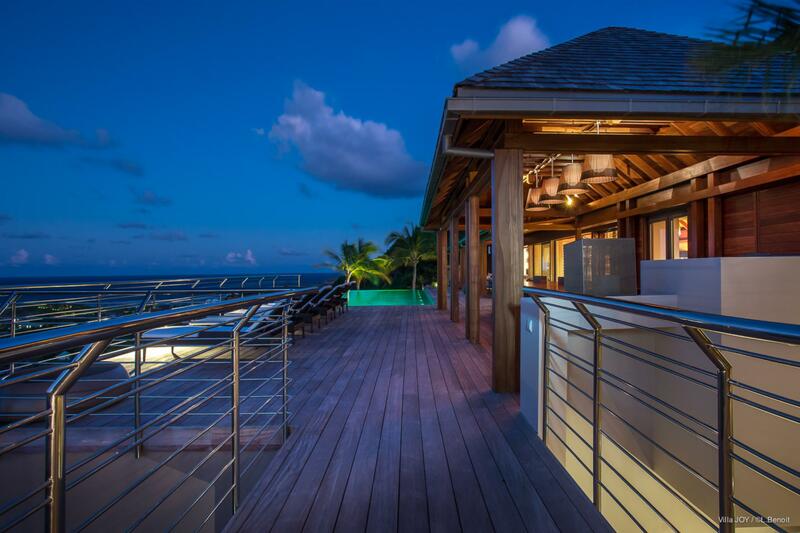 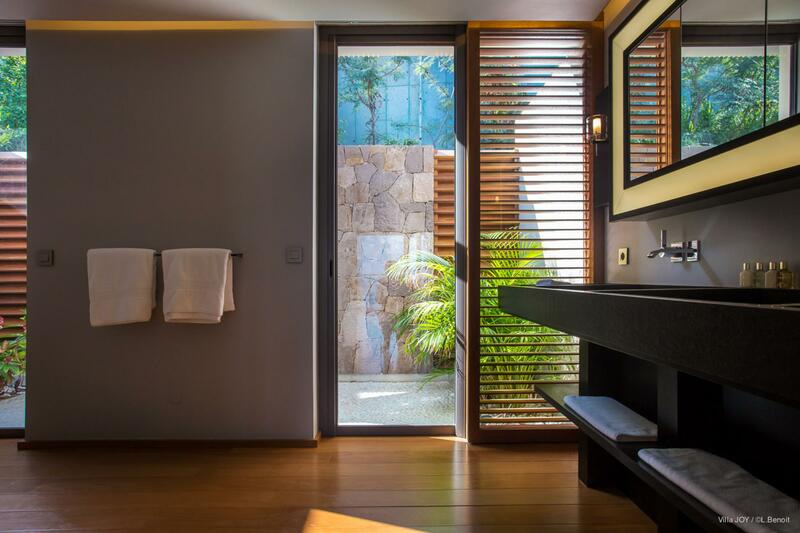 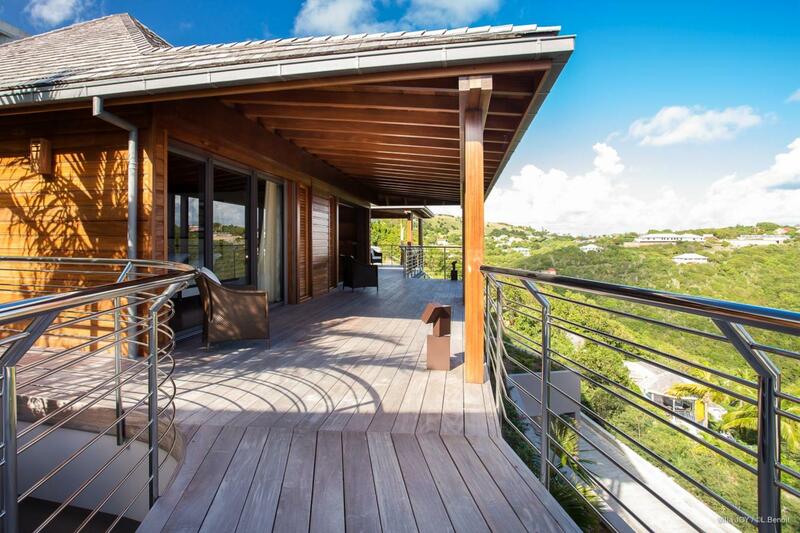 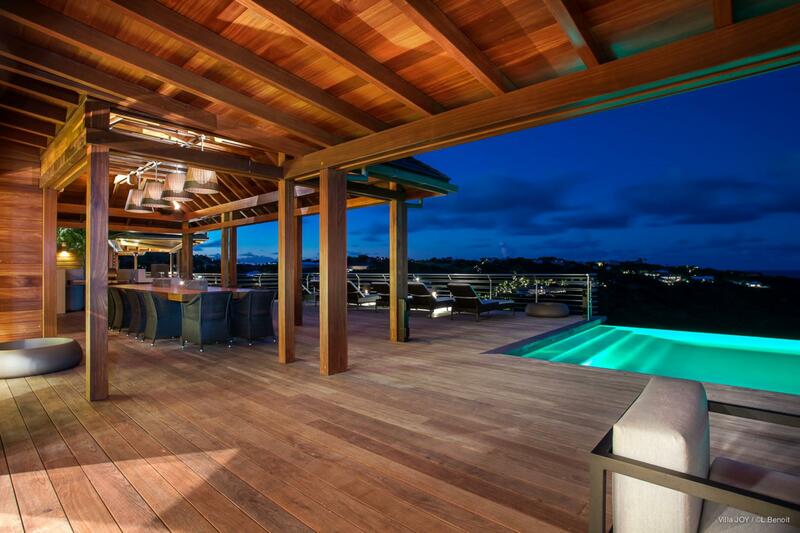 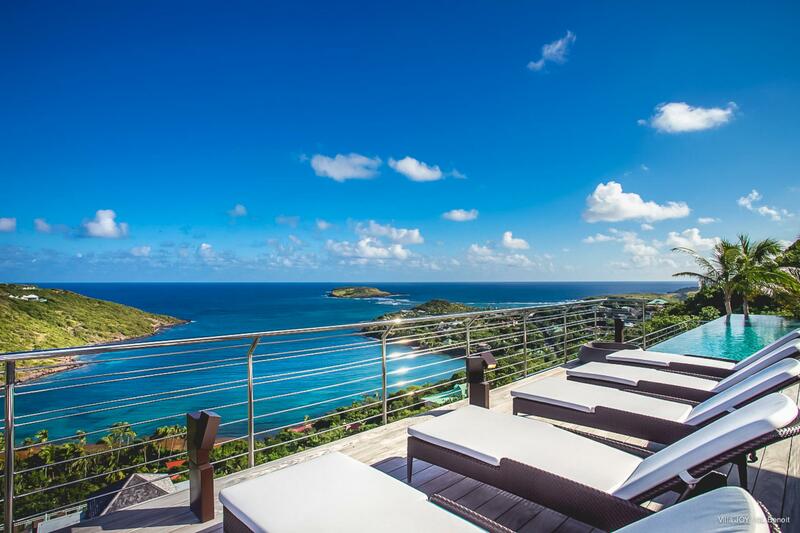 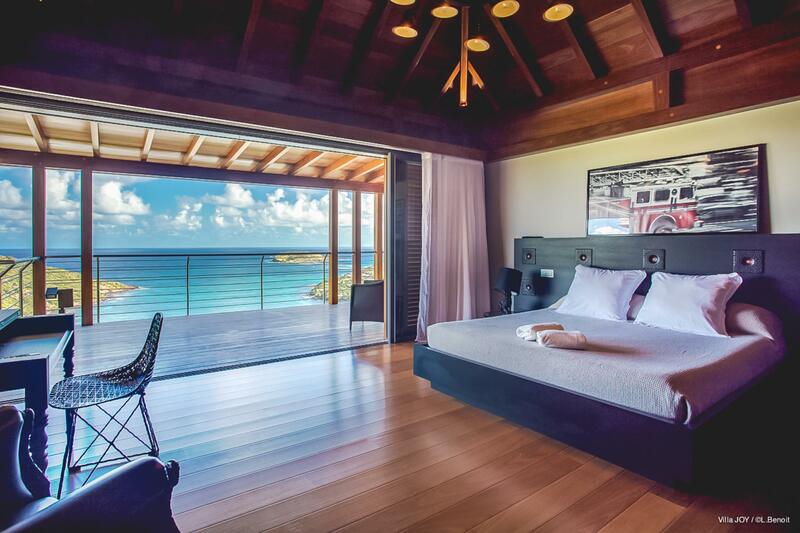 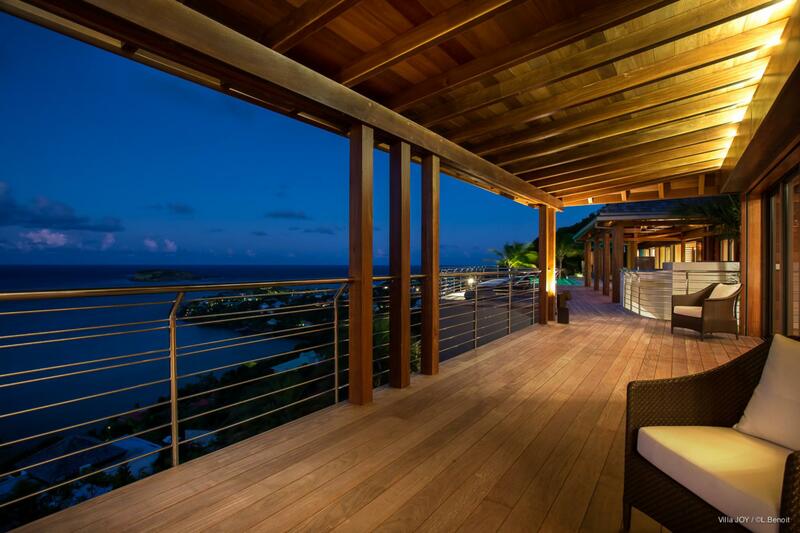 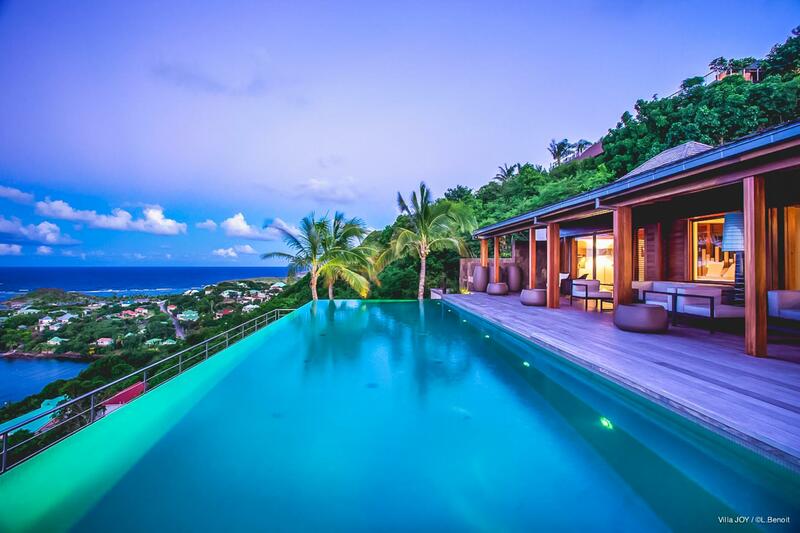 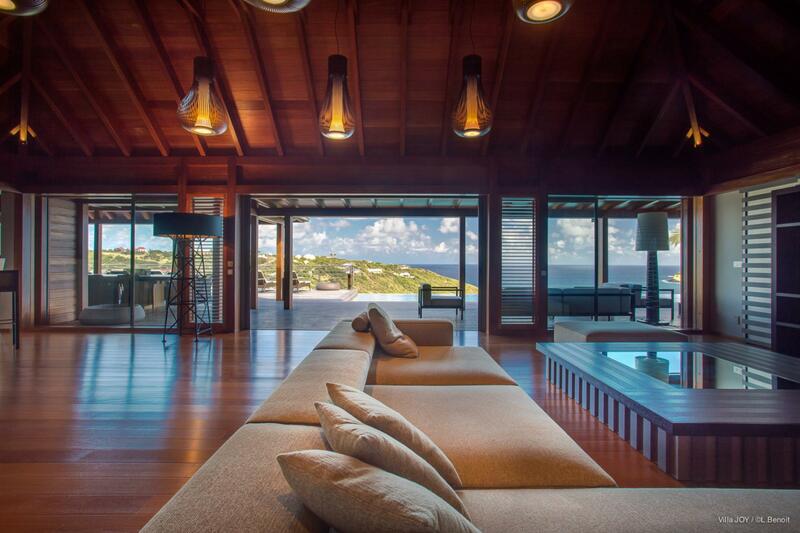 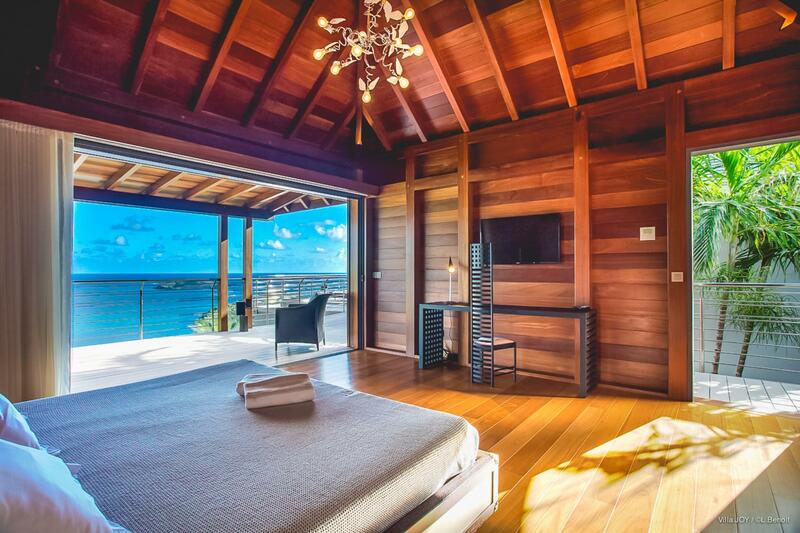 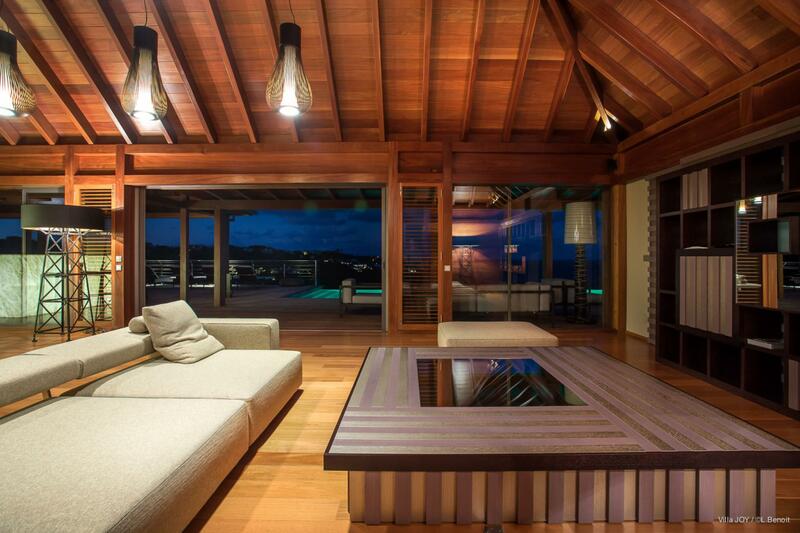 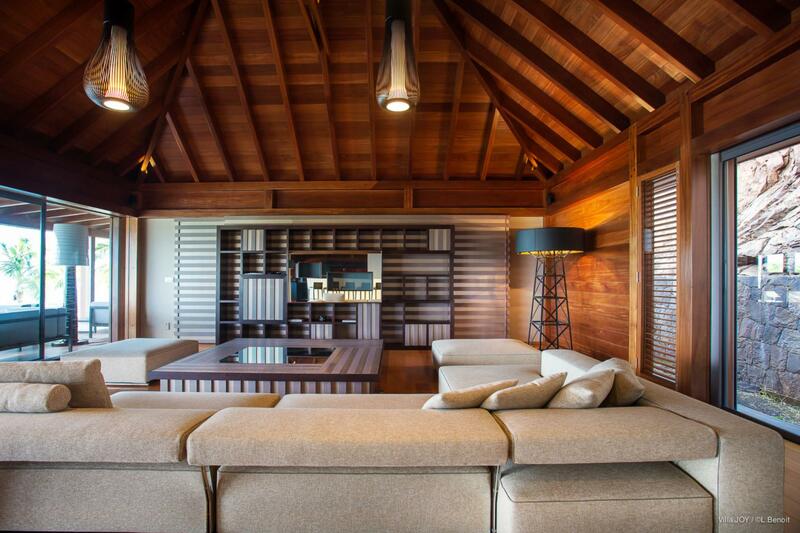 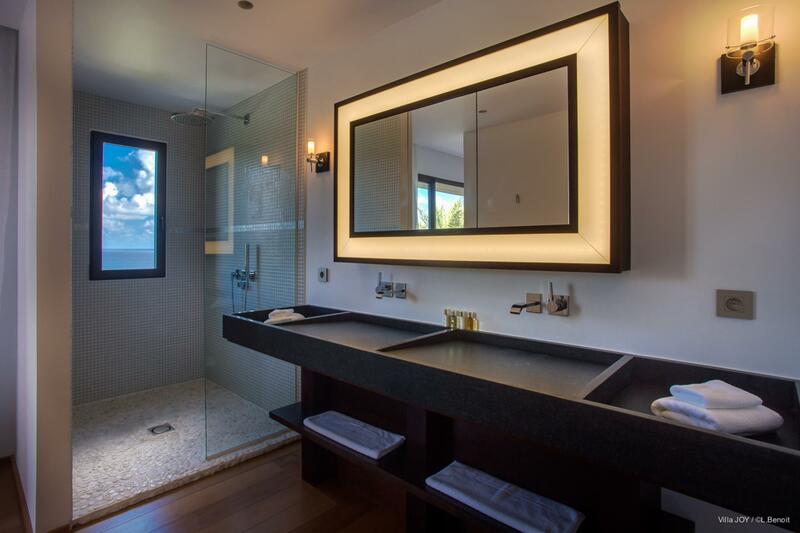 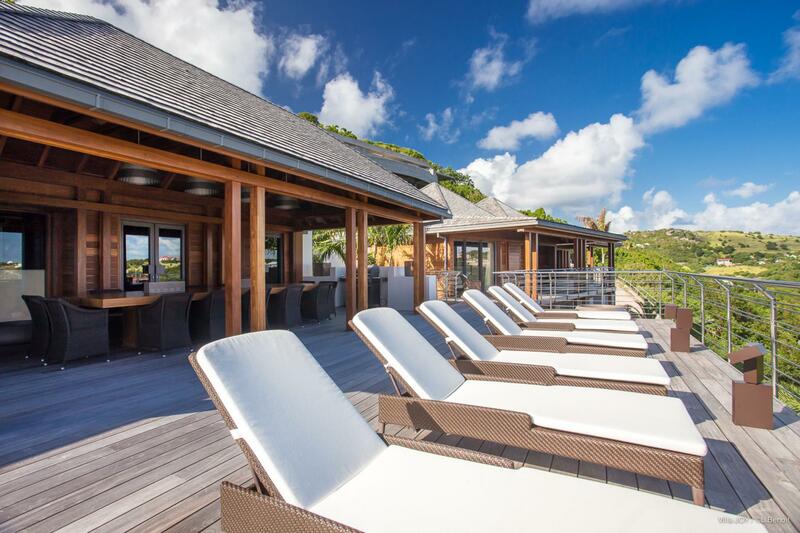 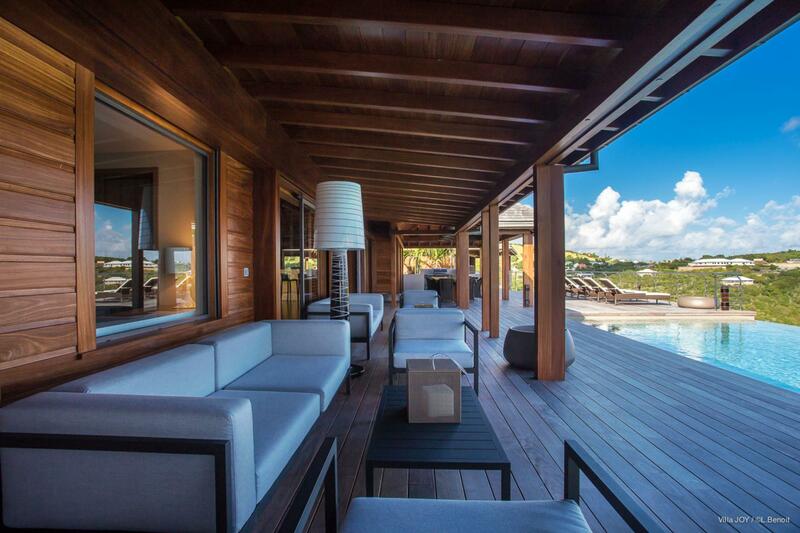 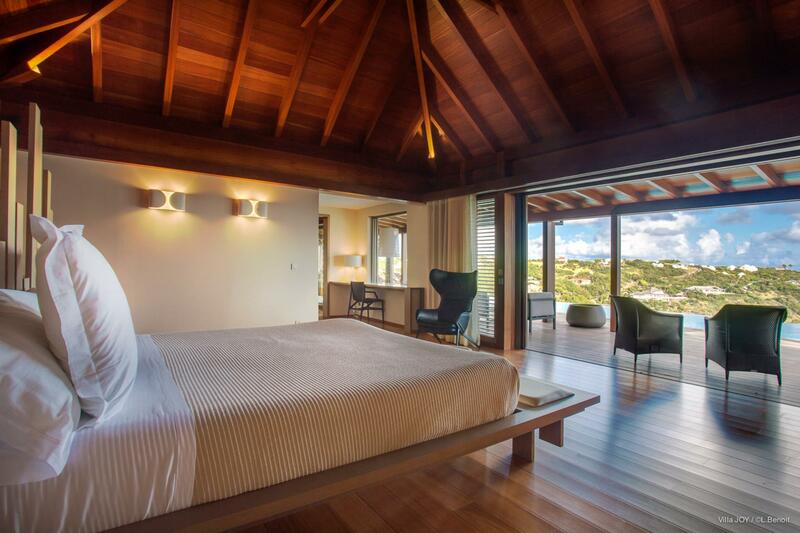 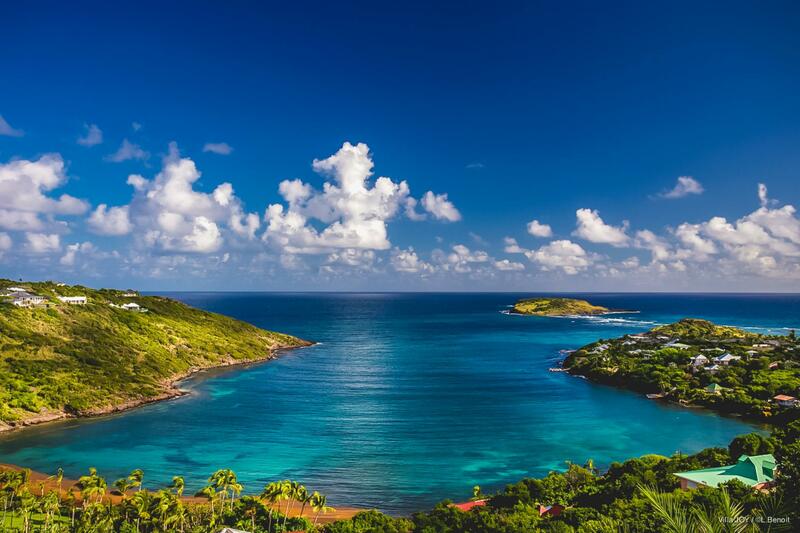 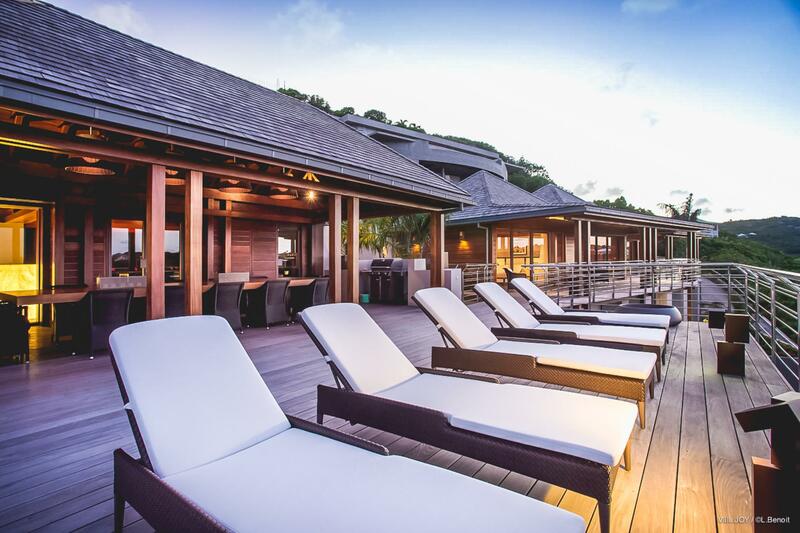 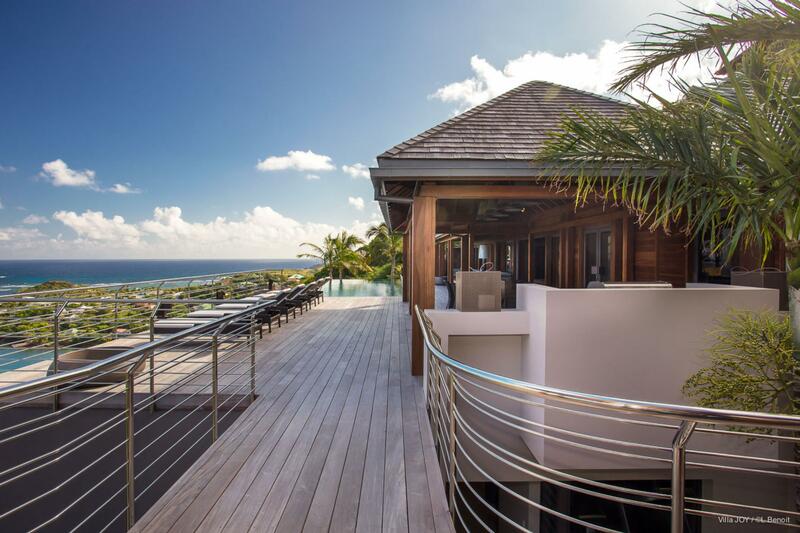 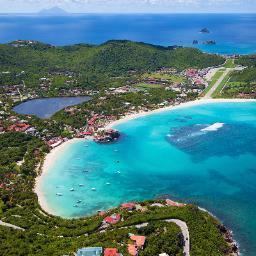 This alone makes Villa Joy a special rarity on St. Barth. 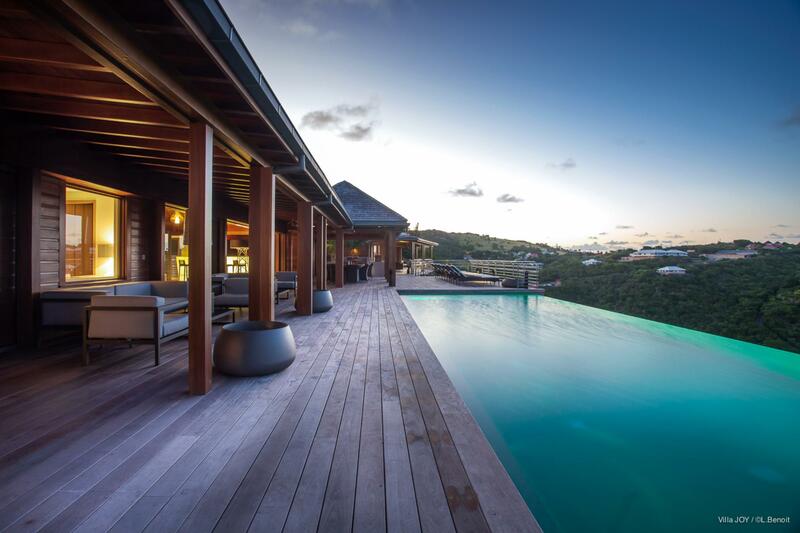 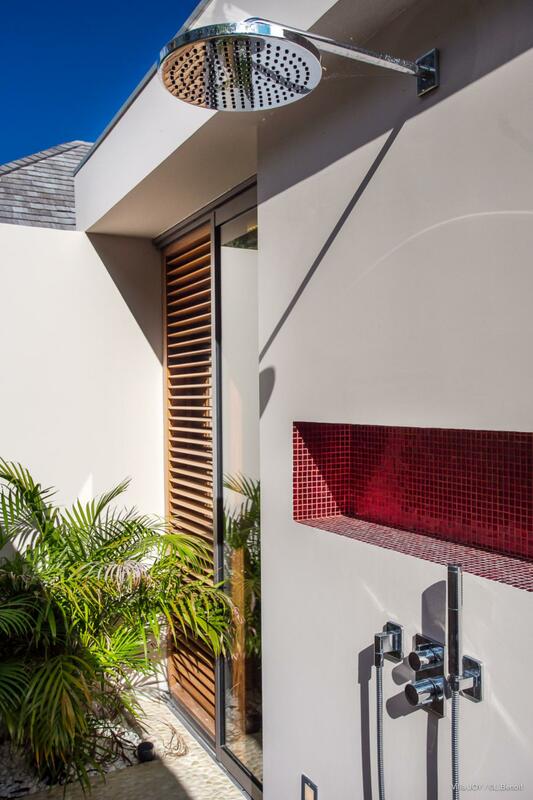 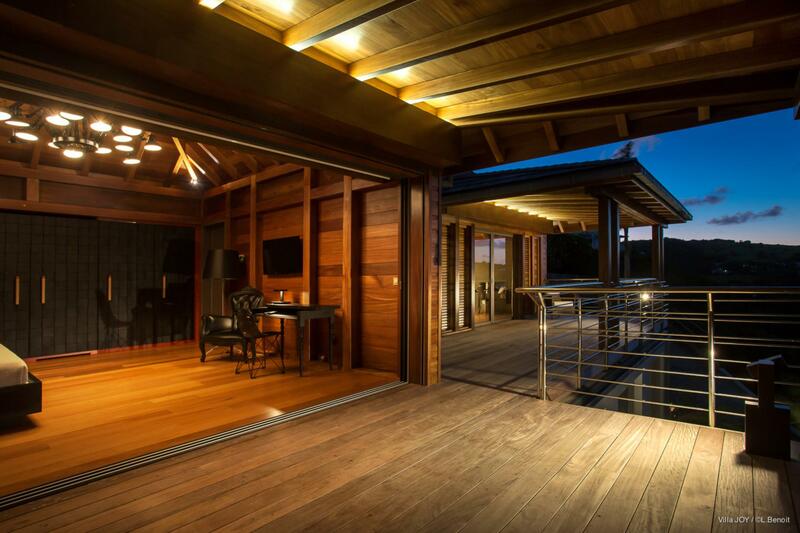 But the luxury rental property has plenty of other features that distinguish it and instill a good feeling in visitors&#151;that make it live up to its name. 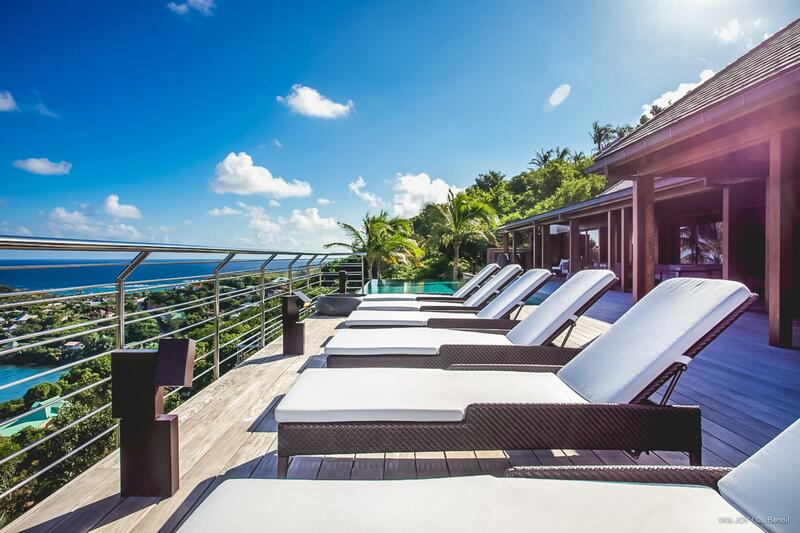 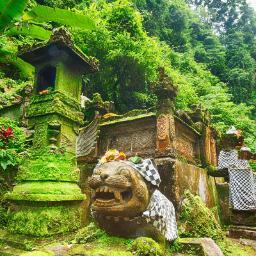 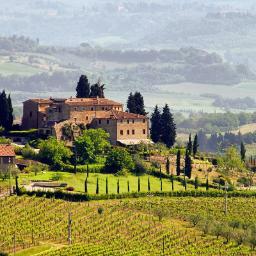 Villa Joy is ideal for hosting large groups of all ages with divergent interests. 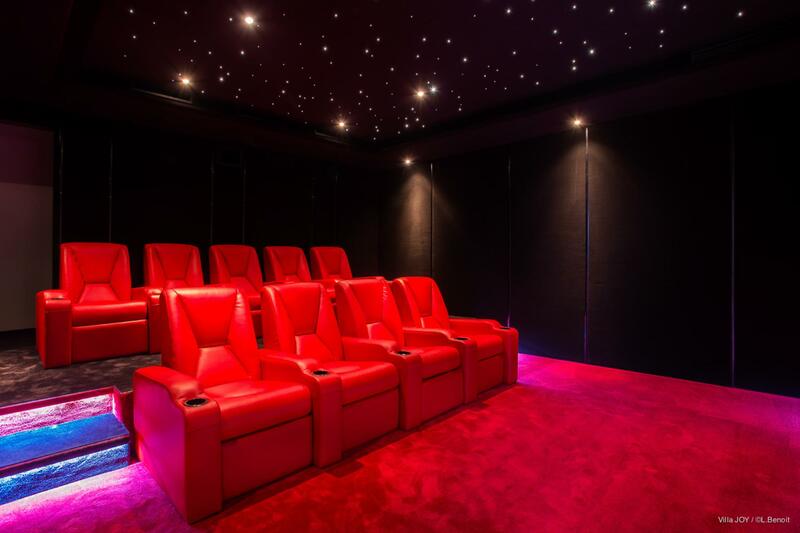 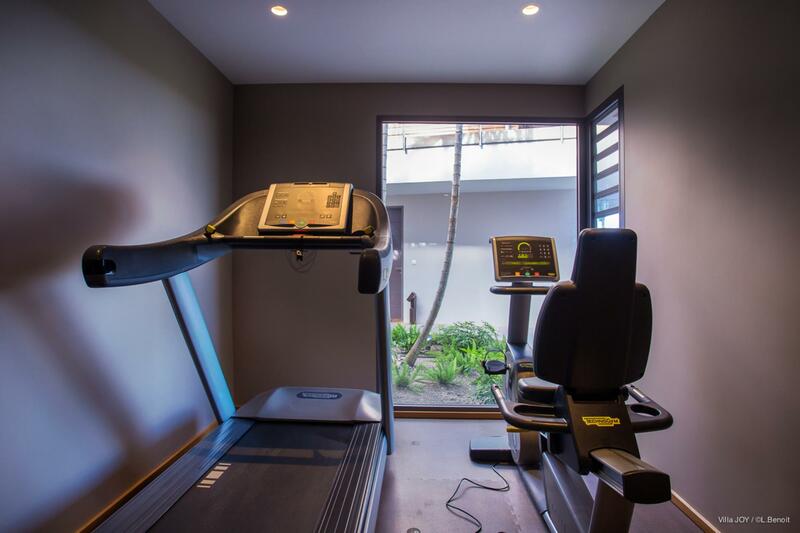 There is a well turned-out gym for fitness aficionados and a nine-seat cinema for those who would rather sit back and relax with a movie. 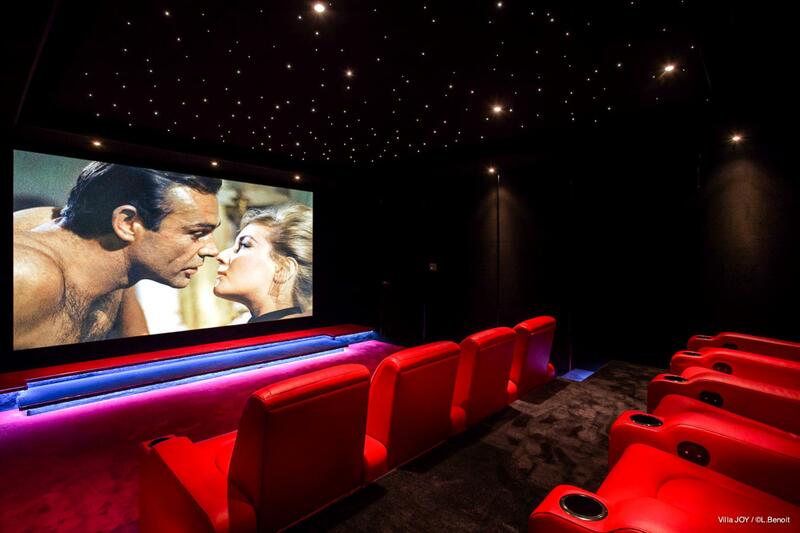 (The decor, which is sprinkled with portraits of midcentury stars, might well put you in the mood for a classic.) 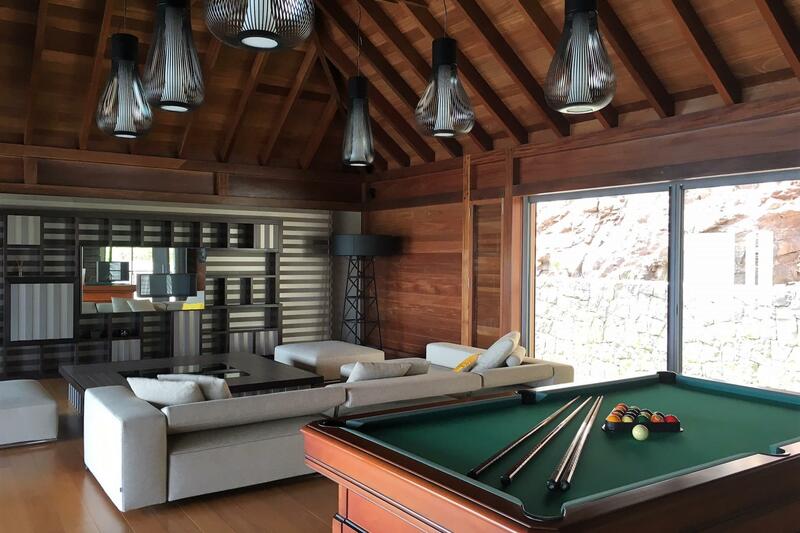 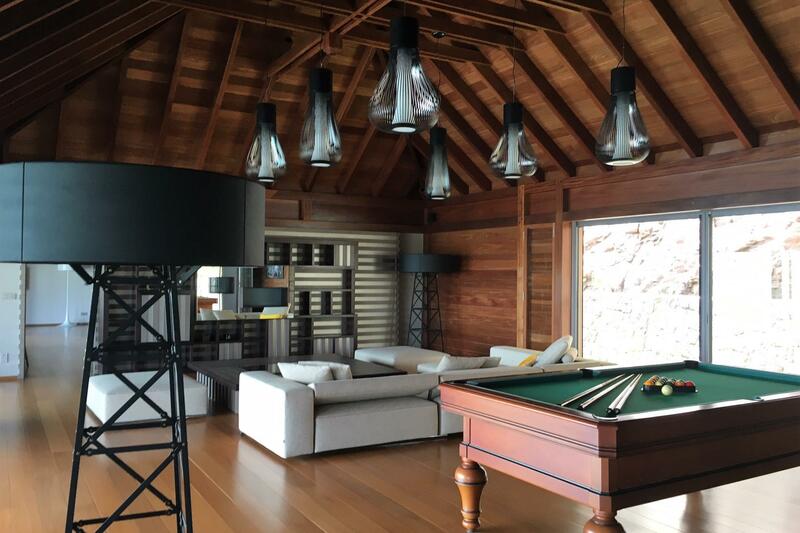 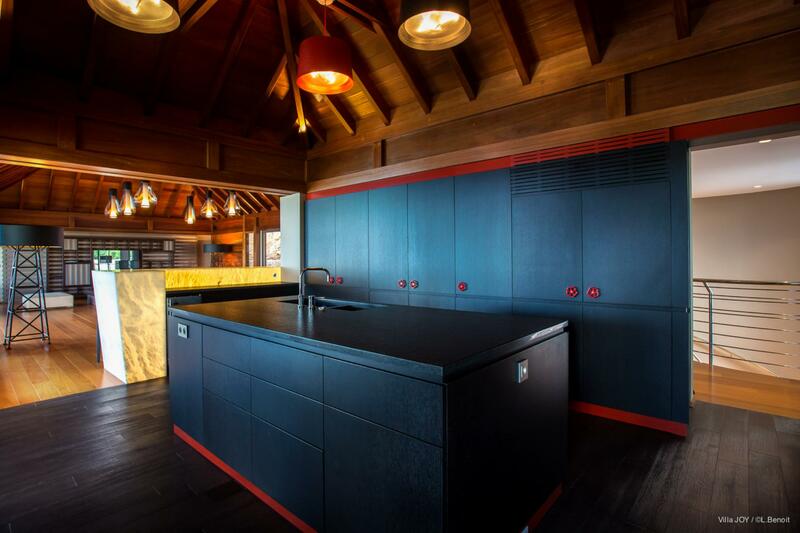 There are copious dining areas for sharing meals, a hammam for a good detox, and a pool table for a little friendly competition. 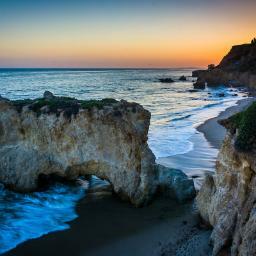 (If that&#146;s not enough, Sibarth&#146;s concierge can also customize experiences around nearly any interest.) 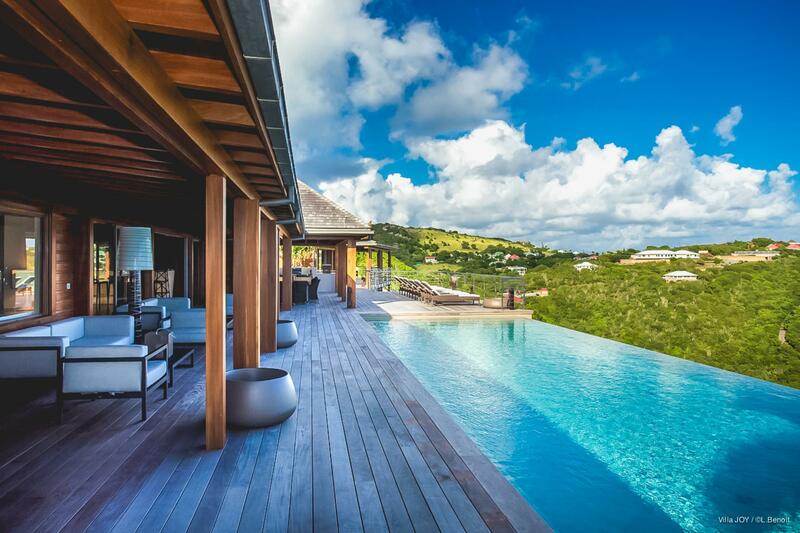 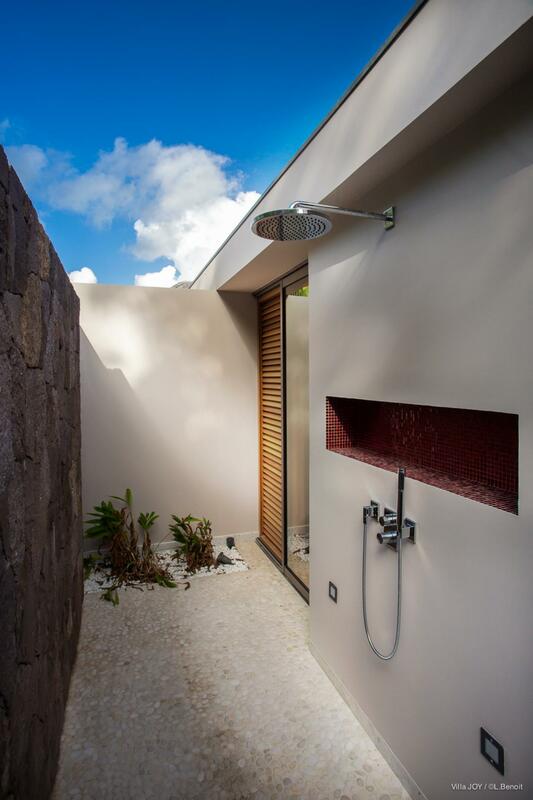 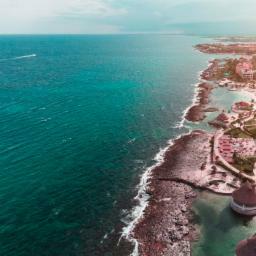 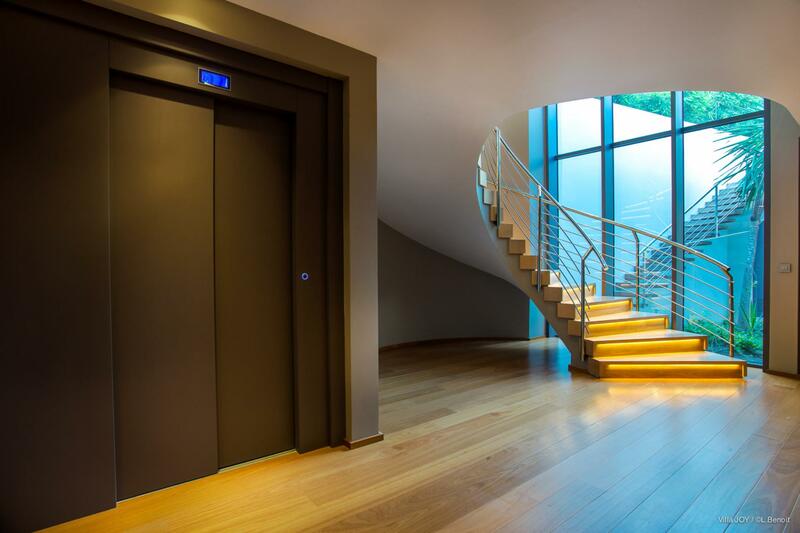 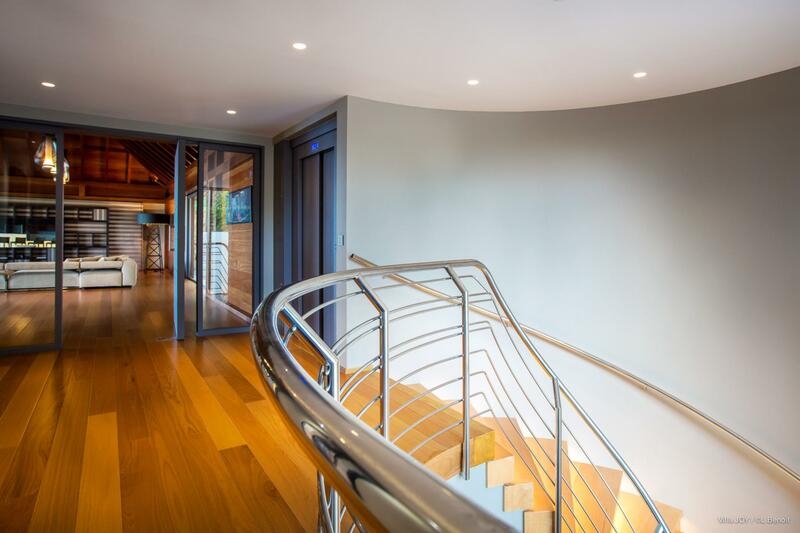 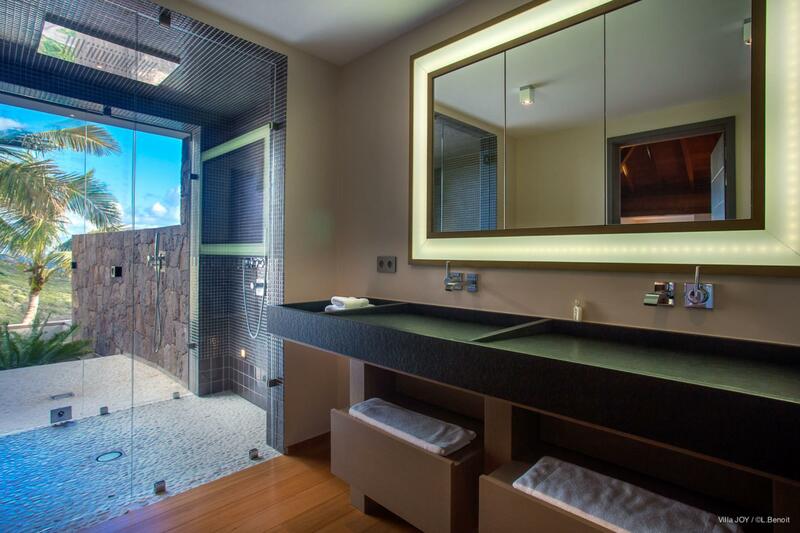 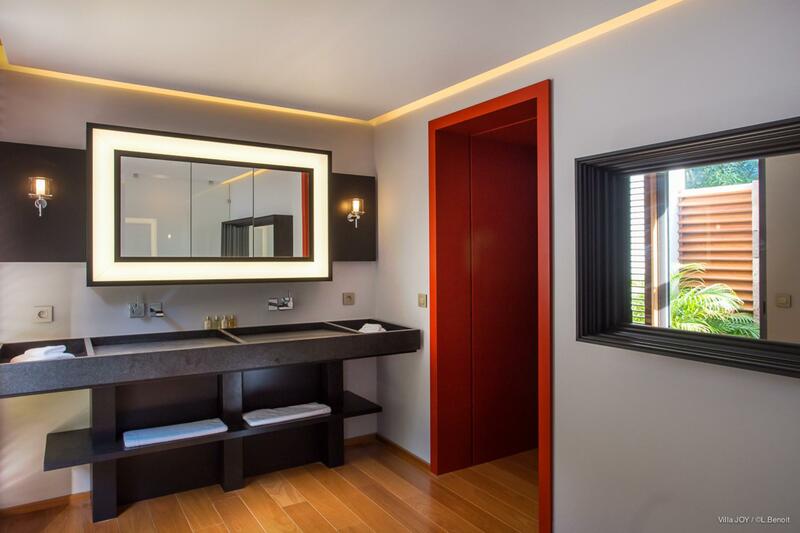 It is also one of the rare villas on the island that has an elevator between the ground level and the main level, making it accessible even to those who have difficulty with stairs. 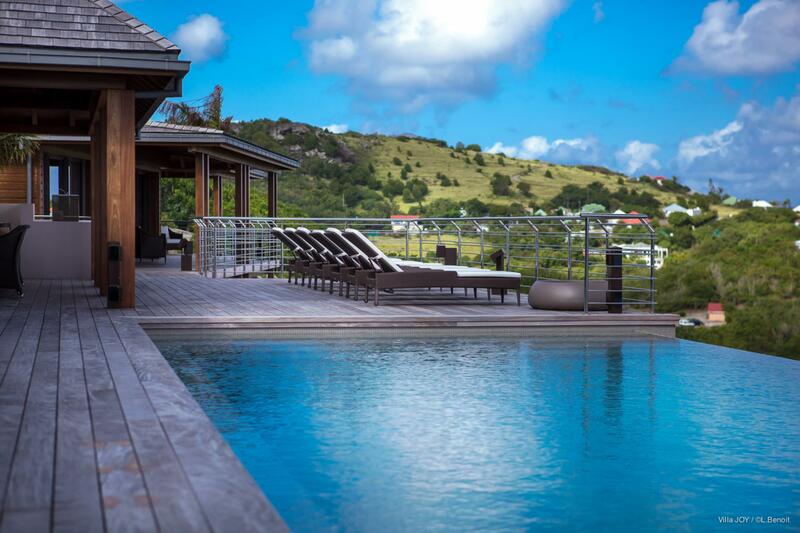 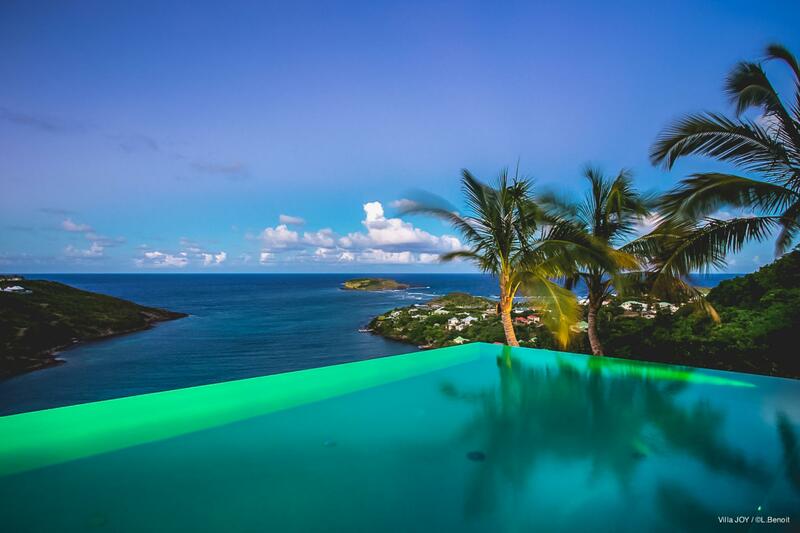 There are also simpler pleasures, such as the extra-long heated infinity pool that runs the length of the house, a portico for quiet conversations, and the impressive views over Marigot Bay. 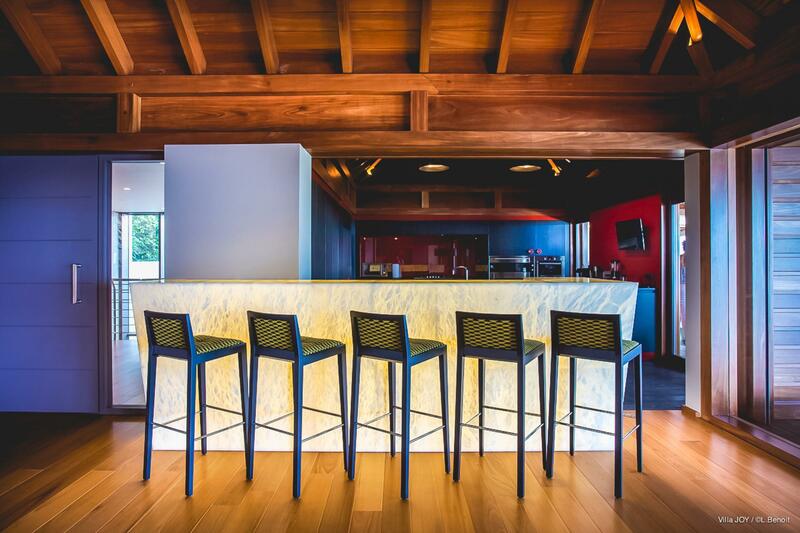 The living area is air-conditioned and has plentiful seating, as well as a designer kitchen with a black lava stone island and barstools that allow you to keep the vibe going as someone is cooking or mixing cocktails. 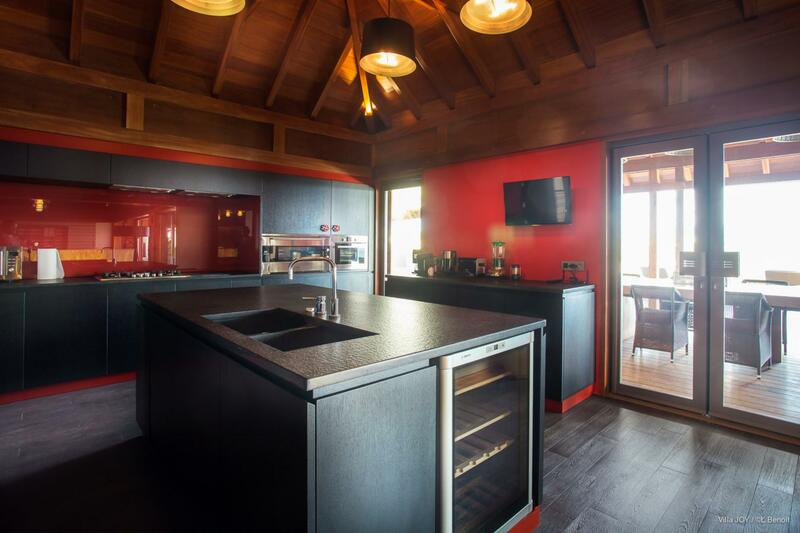 A wine refrigerator, a cold storage room, and top-of-the-line appliances will delight guests who enjoy cooking and serving meals. 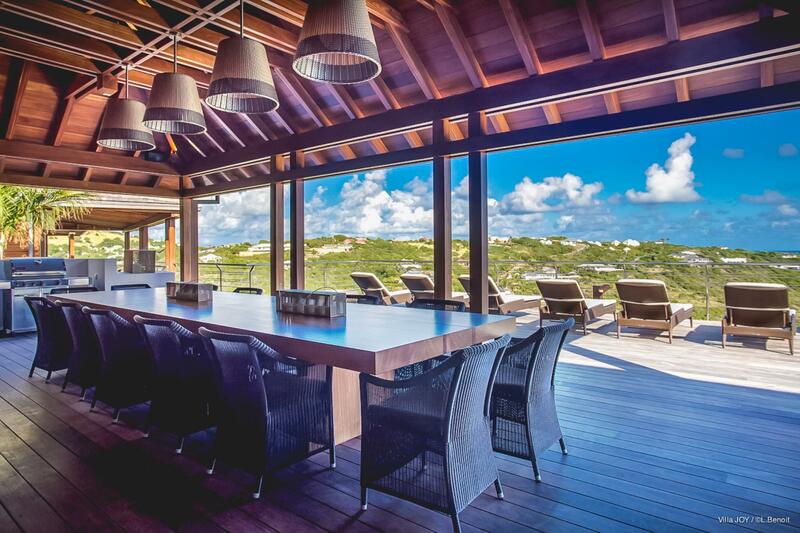 Or let a private chef handle the kitchen duties&#151;the concierge can easily arrange one. 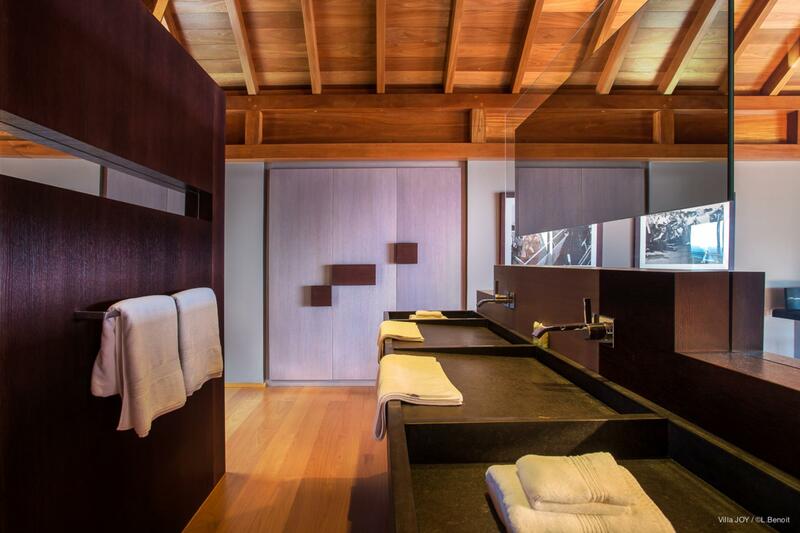 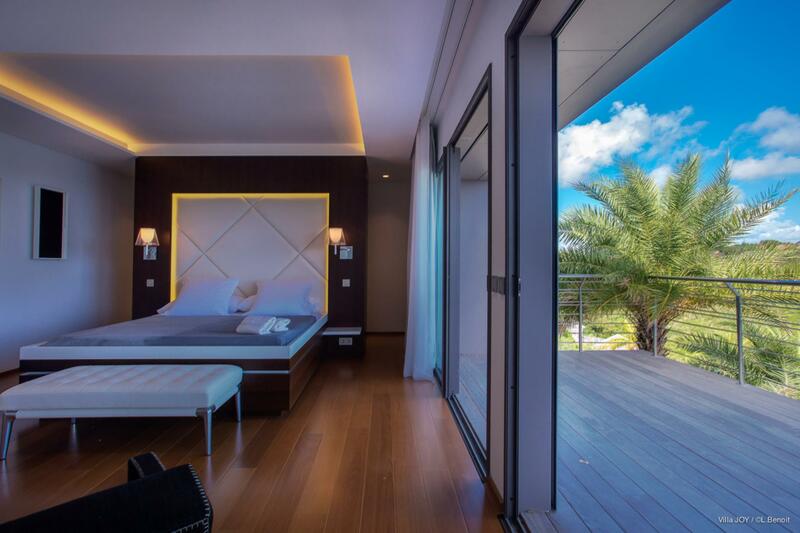 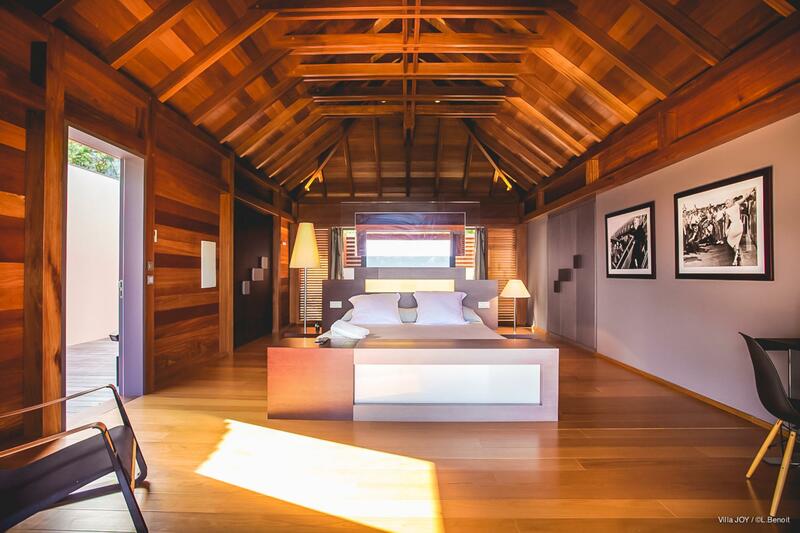 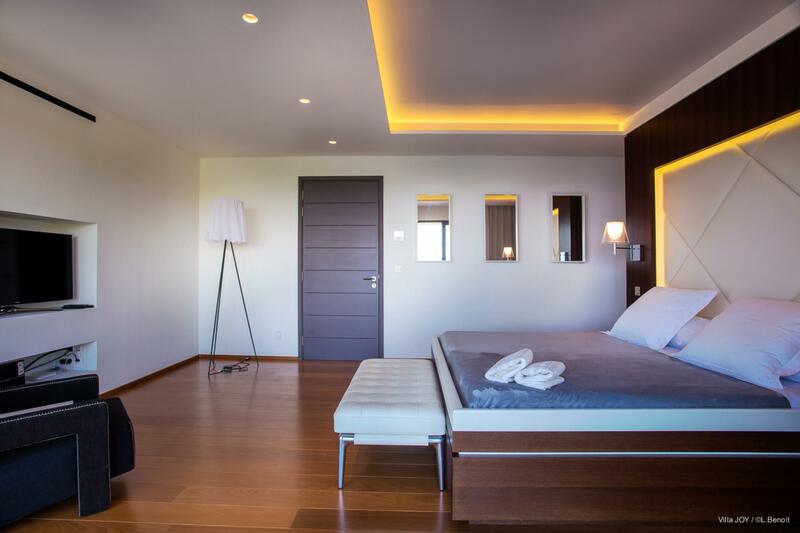 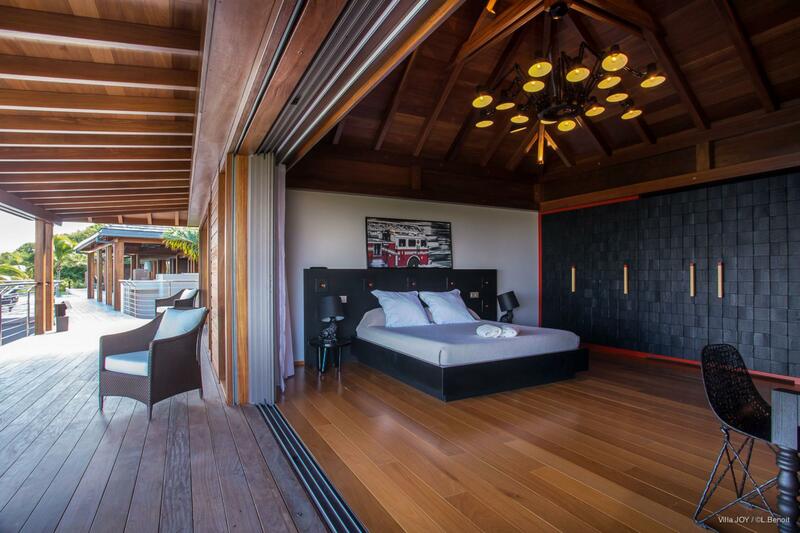 Each of the six minimalist but stylish bedrooms is ensuite, and five have king-size beds. 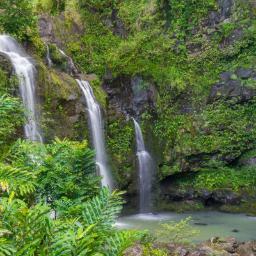 (The sixth, which has a queen, is suitable for a child or staff.) 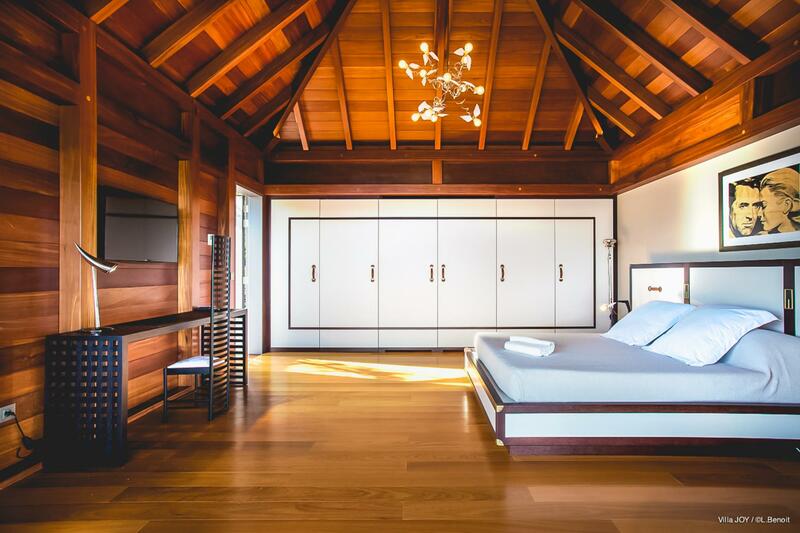 The master bedroom is on the main level, off the living room, and has its own entrance from the pool deck, as well as his and hers walk-in closets and indoor and outdoor rain showers. 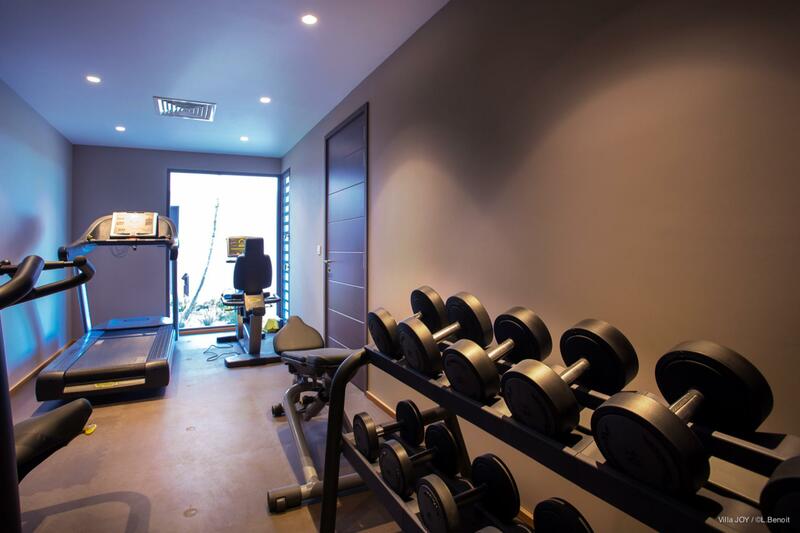 Two of the lesser bedrooms are downstairs on the lower level of this main building, along with the cinema, gym, and hammam. 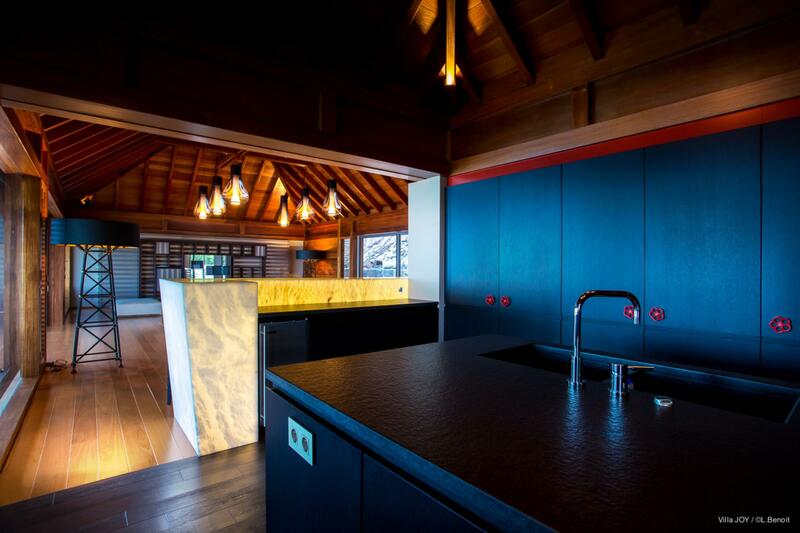 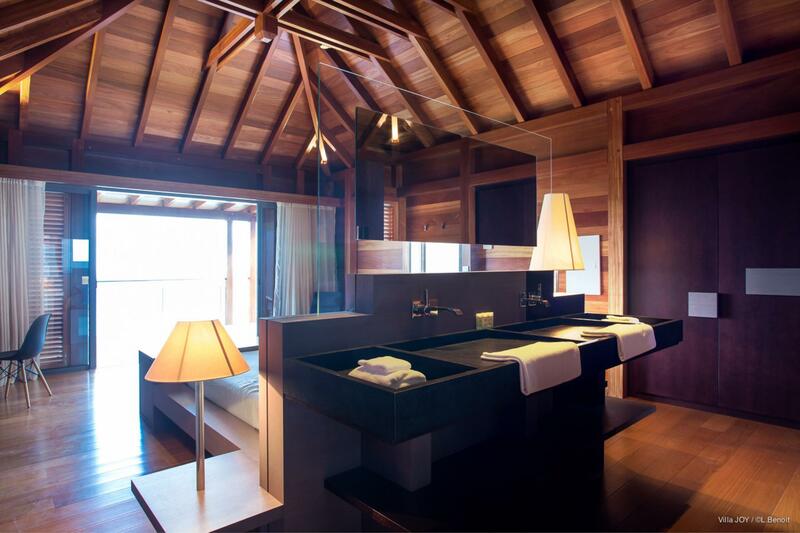 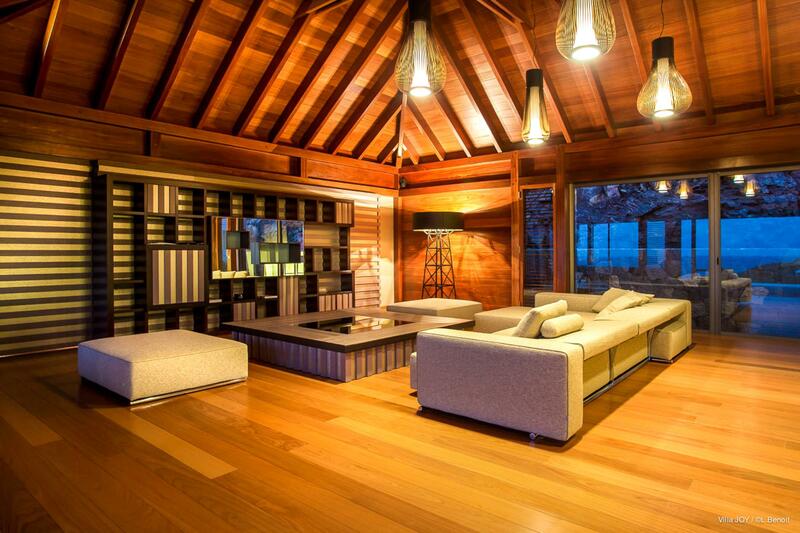 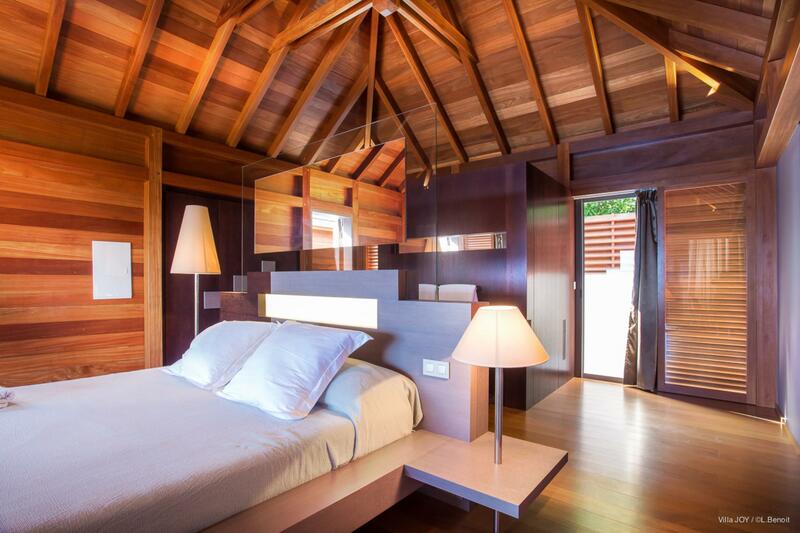 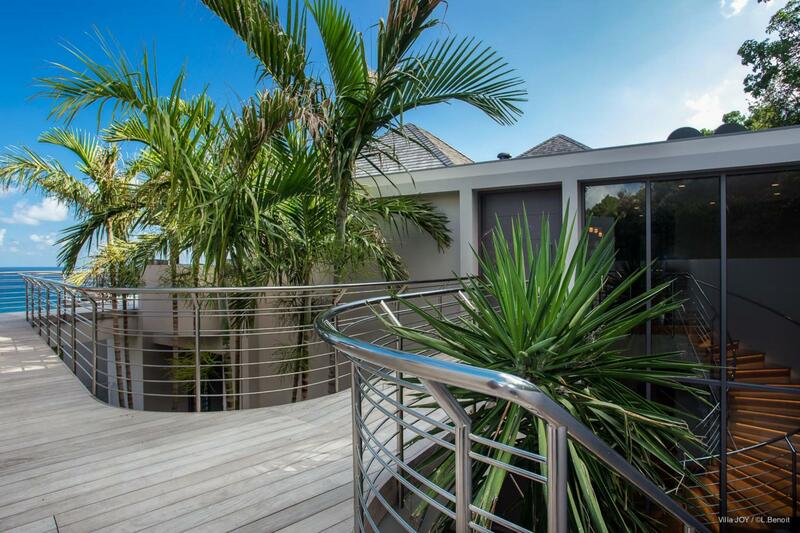 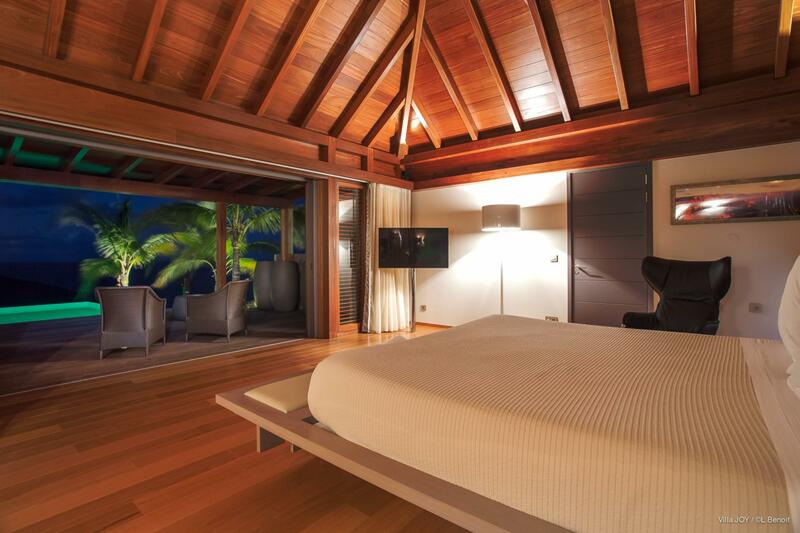 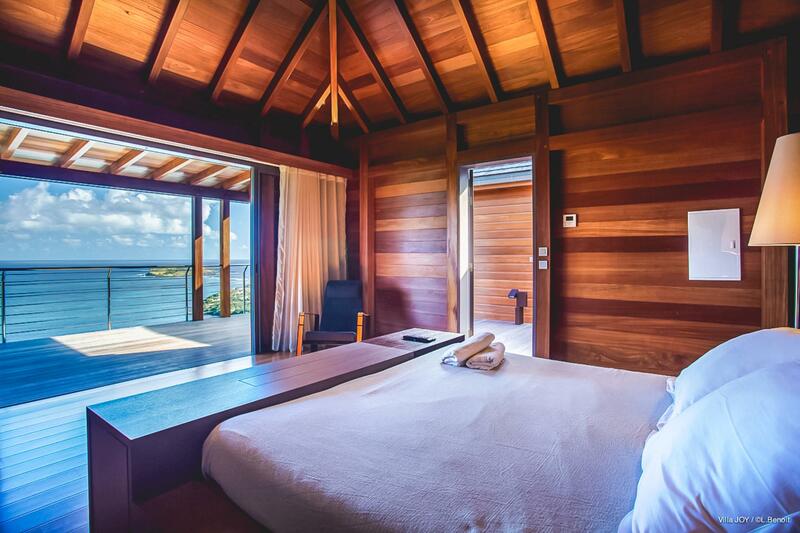 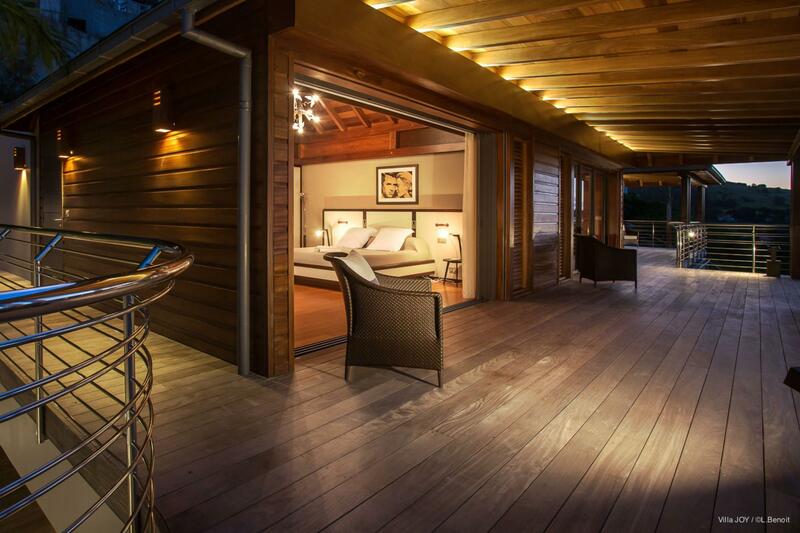 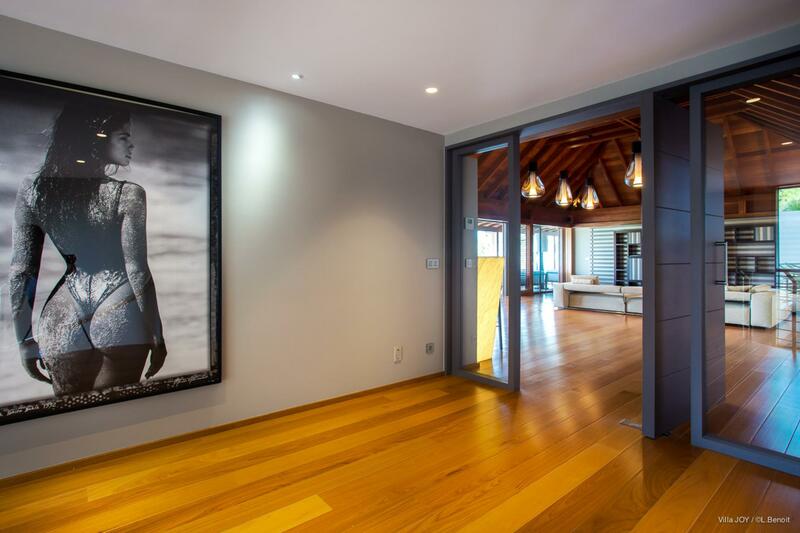 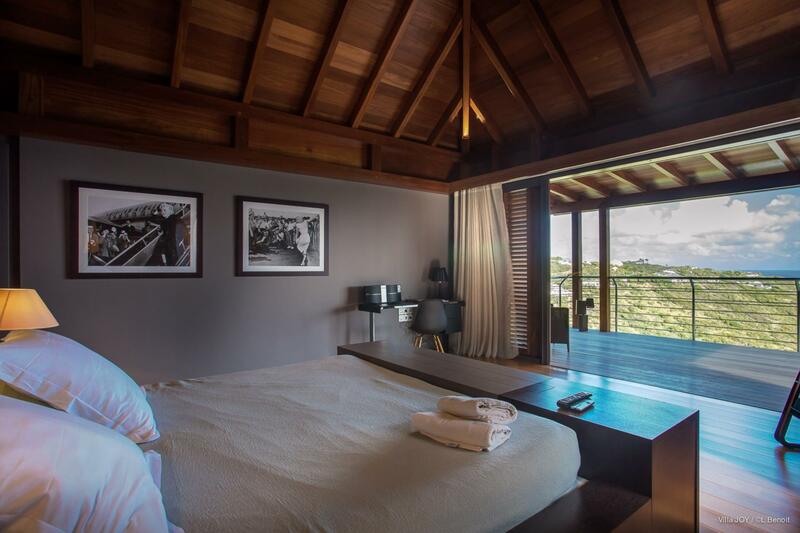 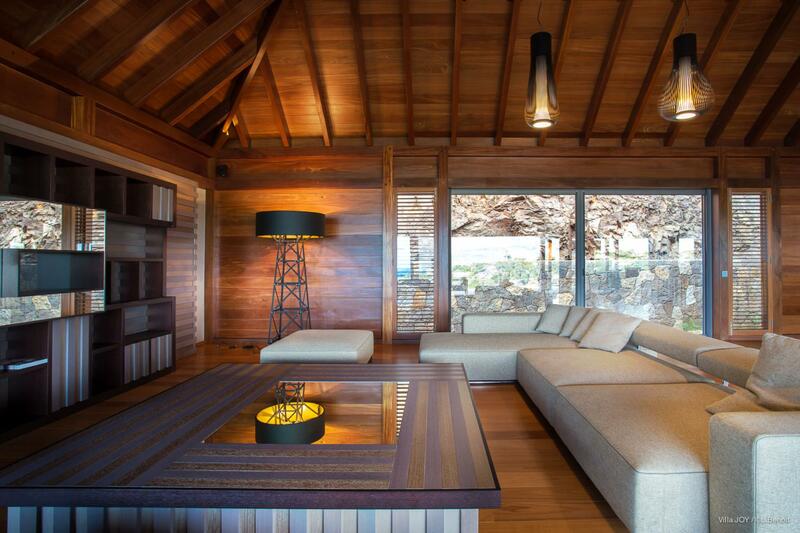 The remaining three bedrooms fill two freestanding bungalows, both oriented to maximize the beguiling sea views. 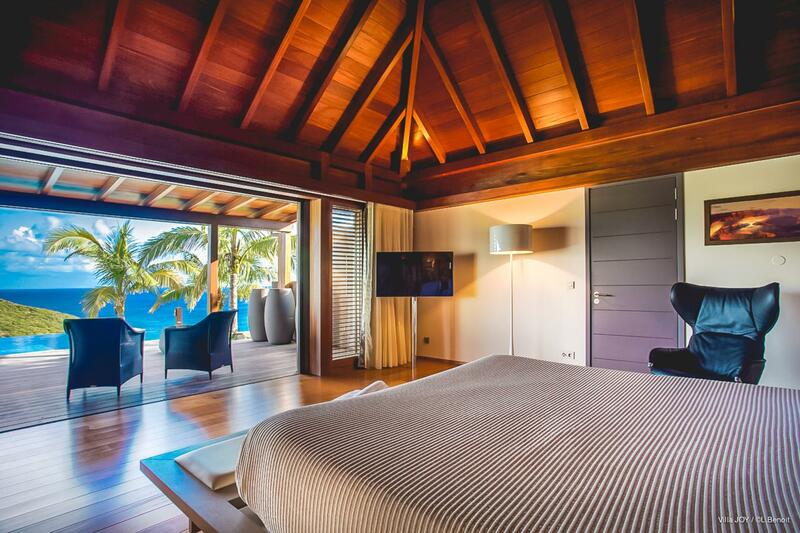 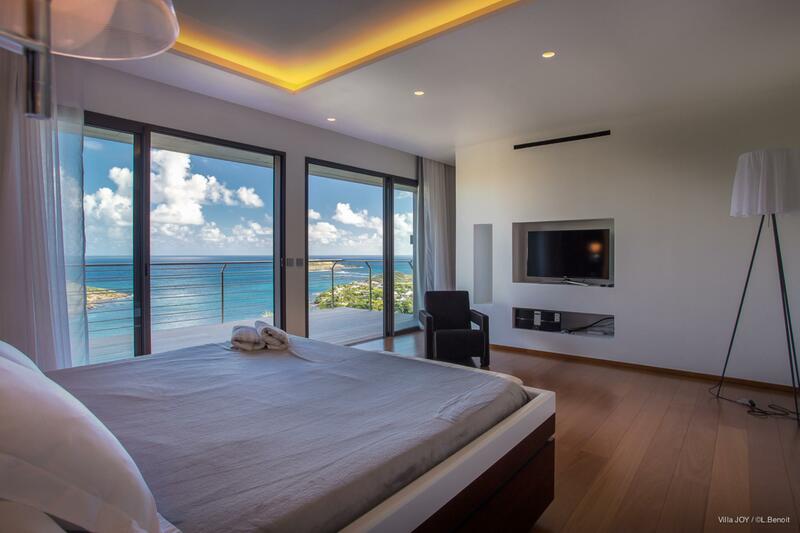 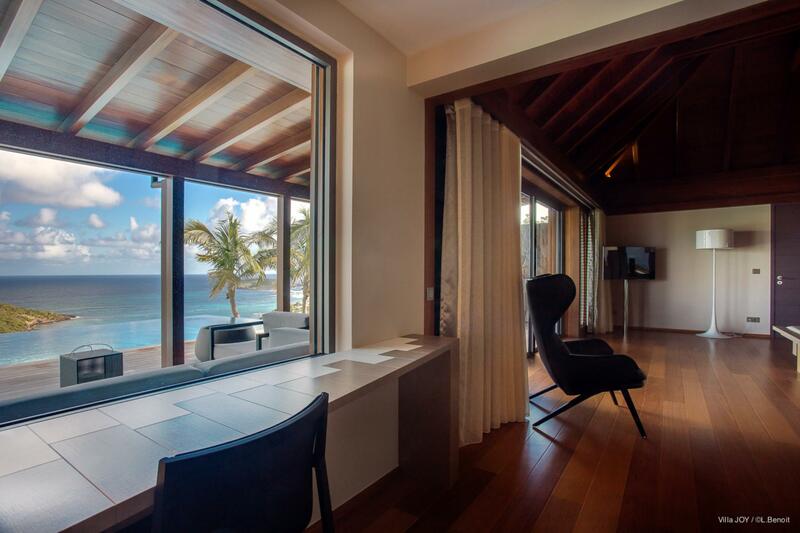 Should the view somehow get boring, each of the five main bedrooms has individual satellite TV. 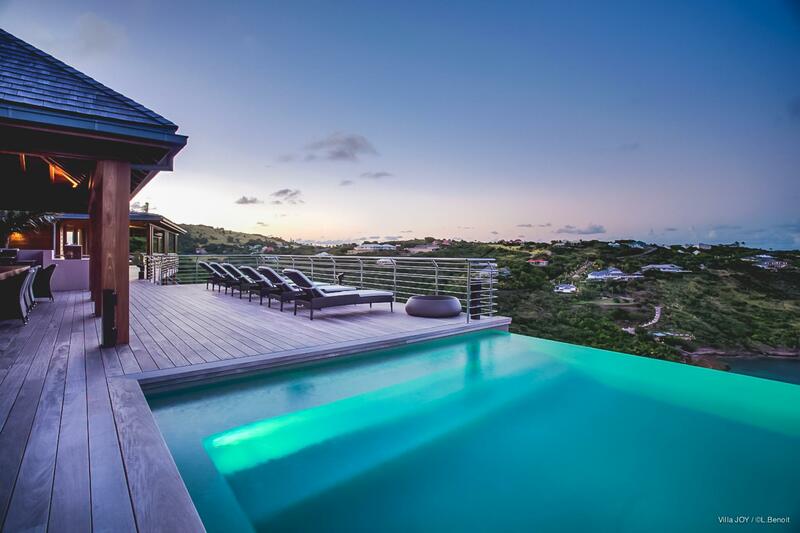 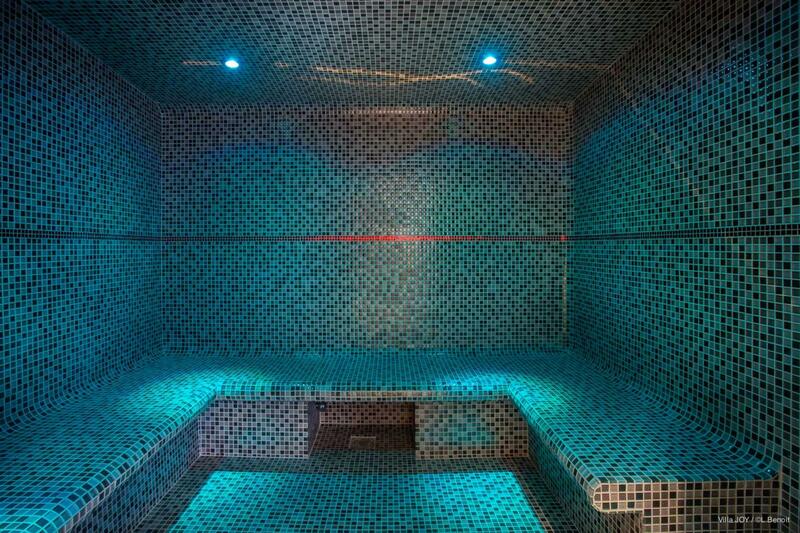 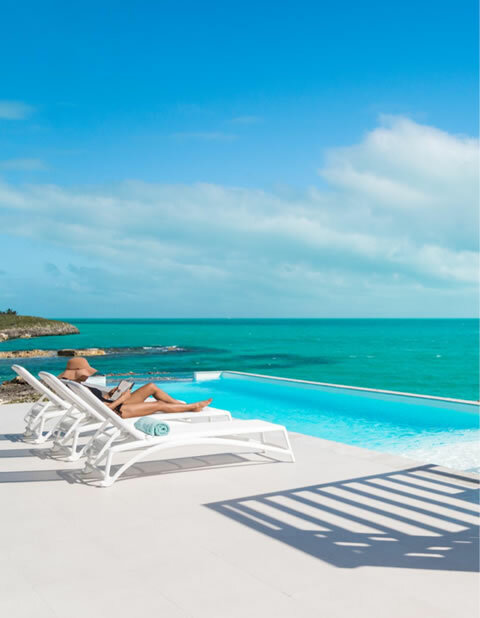 Sibarth Bespoke Villa Rentals is proud to offer the elegance and luxurious amenities of Villa Joy.